1. Wills, Trusts, and Estates, Ninth Edition (Aspen Casebook) by Jesse Dukeminier – Robert H. Sitkoff. 2. J.K. Lasser’s Your Income Tax 2016: For Preparing Your 2015 Tax Return by J.K. Lasser Institute. 3. 10 Actual, Official LSAT PrepTests Volume V: PrepTests 62 through 71 (Lsat Series) by Law School Admission Council. 4. Constitutional Law, Fourth Edition (Aspen Casebook) by Erwin Chemerinsky. 5. The Legal Environment of Business: Text and Cases by Frank B. Cross – Roger LeRoy Miller. 6. Cases and Materials on Criminal Law, 6th Edition (American Casebook Series) by Joshua Dressler – Stephen P. Garvey. 7. Criminal Law and Its Processes: Cases and Materials (Aspen Casebook Series), 9th Edition by Sanford H. Kadish – Stephen J. Schulhofer – Carol S. Steiker – Rachel E. Barkow. 8. The PowerScore LSAT Logic Games Bible (Powerscore LSAT Bible) (Powerscore Test Preparation) by David M. Killoran. 9. Ethical Problems in the Practice of Law, 3rd Edition (Aspen Casebook) by Lisa G. Lerman – Philip G. Schrag. 10. Nurse Practitioner’s Business Practice And Legal Guide by Carolyn Buppert. 11. Property (Aspen Casebook) by Jesse Dukeminier – James E. Krier – Gregory S. Alexander – Michael Schill – Lior Jacob Strahilevitz. 12. 10 New Actual, Official LSAT PrepTests with Comparative Reading: (PrepTests 52-61) (Lsat Series) by Law School Admission Council. 13. Evidence (University Casebook Series) by George Fisher. 14. Constitutional Law, Seventh Edition (Aspen Casebook Series) by Geoffrey R. Stone – Louis M. Seidman – Cass R. Sunstein – Mark V. Tushnet – Pamela S. Karlan. 15. Criminology: The Core by Larry J. Siegel. 16. Constitutional Law: 2015 Case Supplement by Erwin Chemerinsky. 17. Quicken Willmaker Plus 2016 Edition: Book & Software Kit by Editors of Nolo. 18. Business Associations, Cases and Materials on Agency, Partnerships, and Corporations (University Casebook Series) by William Klein – J. Ramseyer – Stephen Bainbridge. 19. Trial Techniques and Trials: by Mauet – Thomas A..
20. Criminal Justice: A Brief Introduction (11th Edition) by Frank J. Schmalleger. 21. Drafting Contracts: How & Why Lawyers Do What They Do , Second Edition (Aspen Coursebook) by Tina L. Stark. 22. Property A Contemporary Approach (Interactive Casebook Series) by John Sprankling – Raymond Coletta. 23. Strategies & Tactics for the MBE, Fifth Edition (Emanuel Bar Review) by Steven L. Emanuel. 24. Constitutional Law: Principles and Policies (Aspen Student Treatise) by Erwin Chemerinsky. 25. Civil Procedure, Eighth Edition (Aspen Casebook) (Aspen Casebooks) by Stephen C. Yeazell. 26. Property Law: Rules Policies & Practices, Sixth Edition (Aspen Casebook) by Joseph William Singer – Bethany R. Berger – Nestor M. Davidson – Eduardo Penalver. 27. Problems in Contract Law: Cases and Materials, Seventh Edition (Aspen Casebook) by Charles L. Knapp – Nathan M. Crystal – Harry G. Prince. 28. Making Your Case: The Art of Persuading Judges by Antonin Scalia – Bryan A. Garner. 29. Ethical Dilemmas and Decisions in Criminal Justice (Ethics in Crime and Justice) by Joycelyn M. Pollock. 30. Cengage Advantage Books: Business Law Today, The Essentials: Text and Summarized Cases by Roger LeRoy Miller. 31. Legal And Ethical Issues For Health Professionals by George D. Pozgar. 32. The Official LSAT SuperPrep: The Champion of LSAT Prep by Law School Admission Council. 33. Juvenile Delinquency: The Core by Larry J. Siegel – Brandon C. Welsh. 34. Constitutional Law (University Casebook Series) by Kathleen Sullivan – Noah Feldman. 35. Federal Income Taxation, Sixteenth Edition (Aspen Casebook) by Joseph Bankman – Daniel N. Shaviro – Kirk J. Stark. 36. America’s Courts and the Criminal Justice System by David W. Neubauer – Henry F. Fradella. 37. Business Associations: Agency, Partnerships, LLCs, and Corporations (Selected Statutes) by William Klein – J. Ramseyer – Stephen Bainbridge. 38. Community Policing: Partnerships for Problem Solving by Linda S. Miller – Kären M. Hess – Christine M.H. Orthmann. 39. Criminal Investigation by Christine Hess Orthmann – Kären M. Hess. 40. Civil Procedure, 7th Edition (Examples & Explanations) by Joseph W. Glannon. 41. Smith and Roberson’s Business Law by Richard A. Mann – Barry S. Roberts. 42. A Practical Guide To Appellate Advocacy (Aspen Coursebook Series) by Beazley – Mary Beth. 43. Ethical Problems in the Practice of Law: Model Rules, State Variations, and Practice Questions by Lisa G. Lerman. 44. The Next 10 Actual, Official LSAT PrepTests (Lsat Series) by Law School Admission Council. 45. Get It Together: Organize Your Records So Your Family Won’t Have To by Melanie Cullen – Shae Irving J.D. J.D..
46. Processes of Constitutional Decisionmaking (Aspen Casebook) by Paul Brest – Sanford Levinson – Jack M. Balkin – Akhil Reed Amar – Reva B. Siegel. 47. Learning Evidence: From the Federal Rules to the Courtroom (Learning Series) by Deborah Merritt – Ric Simmons. 48. The Legal Environment of Business by Roger E. Meiners – Al H. Ringleb – Frances L. Edwards. 49. Criminal Behavior: A Psychological Approach (10th Edition) by Curt R. Bartol – Anne M. Bartol. 50. Understanding Criminal Law, 6th Edition by Joshua Dressler. 51. Criminalistics: An Introduction to Forensic Science (11th Edition) by Richard Saferstein. 52. Criminal Law by Joel Samaha. 53. Introduction To Health Care Management by Sharon B. Buchbinder – Nancy H. Shanks. 54. Commentaries and Cases on the Law of Business Organization, Fourth Edition (Aspen Casebook) by William T. Allen – Reinier Kraakman – Guhan Subramanian. 55. Securities Regulation: Cases and Materials, Seventh Edition (Aspen Casebook) by James D. Cox – Robert W. Hillman – Donald C. Langevoort. 56. Plain English for Lawyers by Richard C. Wydick. 57. Legal and Ethical Issues in Nursing (6th Edition) (Legal Issues in Nursing ( Guido)) by Ginny Wacker Guido JD MSN RN. 58. Intellectual Property in the New Technological Age, Sixth Edition (Aspen Casebook Series) by Robert P. Merges – Peter S. Menell – Mark A. Lemley. 59. The Police in America: An Introduction by Samuel Walker – Charles Katz. 60. The Return of Martin Guerre by Natalie Zemon Davis. 61. Business Law by Jane Mallor – A. James Barnes – Arlen Langvardt – Jamie Darin Prenkert – Martin A. McCrory. 62. Modern Family Law, Fifth Edition (Aspen Casebooks) by D. Kelly Weisberg – Susan Frelich Appleton. 63. Immigration and Nationality Laws of the United States: Selected Stats, Regulations and Forms, 2014 (Selected Statutes) by Thomas Aleinikoff – David Martin – Hiroshi Motomura – Maryellen Fullerton. 64. Nursing Ethics: Across the Curriculum and Into Practice by Janie B. Butts – Karen L. Rich. 65. Inside Terrorism by Bruce Hoffman. 66. Employment Law for Business by Dawn Bennett-Alexander – Laura Hartman. 67. Essentials of Criminal Justice by Larry J. Siegel – John L. Worrall. 68. Examples & Explanations: Contracts, Sixth Edition by Brian A. Blum. 69. Criminal Procedure: Investigating Crime, 5th (American Casebook Series) by Joshua Dressler – George Thomas III. 70. Examples & Explanations: Property by Barlow Burke. 71. Property, 7th Edition by Jesse Dukeminier – James Krier – Gregory Alexander – Michael Schill. 72. Evidence Under the Rules (Aspen Casebook Series) by Christopher B. Mueller – Laird C. Kirkpatrick. 73. The Color of Justice: Race, Ethnicity, and Crime in America (The Wadsworth Contemporary Issues in Crime and Justice Series) by Samuel Walker – Cassia Spohn – Miriam DeLone. 74. Mass Media Law by Don Pember – Clay Calvert. 75. Ethical Problems in the Practice of Law: Concise Edition for Two Credit Course, 3rd Edition by Lisa G. Lerman – Philip G. Schrag. 76. Civil Procedure: Cases and Materials, 11th Edition (American Casebook Series) by Jack Friedenthal – Arthur Miller – John Sexton – Helen Hershkoff. 77. Federal Rules of Civil Procedure: with Selected Statutes, Cases and Other Materials by Stephen C. Yeazell. 78. The Official LSAT PrepTest 76: (Oct. 2015 LSAT) by Law School Admission Council. 79. School Law and the Public Schools: A Practical Guide for Educational Leaders (6th Edition) (The Pearson Educational Leadership Series) by Nathan L. Essex. 80. Incognito: The Secret Lives of the Brain by David Eagleman. 81. Fundamentals of Federal Income Taxation (University Casebook Series) by James Freeland – Daniel Lathrope – Stephen Lind – Richard Stephens. 82. Cases and Materials on Legislation and Regulation: Statutes and the Creation of Public Policy, 5th (American Casebook Series) by William Eskridge Jr – Philip Frickey – Elizabeth Garrett – James Brudney. 83. Criminal Justice: A Brief Introduction (10th Edition) by Frank J. Schmalleger. 84. Business Law: Legal Environment, Online Commerce, Business Ethics, and International Issues (9th Edition) by Henry R. Cheeseman. 85. Criminal Law: Cases & Materials, Seventh Edition (Aspen Casebook Series) by John Kaplan – Robert Weisberg – Guyora Binder. 86. Hotel, Restaurant, and Travel Law, 7th Edition by Karen Morris – Norman Cournoyer – Anthony Marshall. 87. Examples and Explanations: Constitutional Law: National Power and Federalism, Sixth Edition (Examples & Explanations) by Christopher N. May. 88. Basic Handbook of Police Supervision: A Practical Guide for Law Enforcement Supervisors by Gerald W. Garner. 89. Point Made: How to Write Like the Nation’s Top Advocates by Ross Guberman. 90. Constitutional Law: 2015 Supplement by Geoffrey R. Stone. 91. Property: Principles and Policies (University Casebook Series) by Thomas W. Merrill – Henry E. Smith. 92. 10 Actual, Official LSAT PrepTests by Law School Admission Council. 93. Legislation and Regulation, 2nd Edition (University Casebook) by John F. Manning – Matthew C. Stephenson. 94. INTRODUCTION TO CRIMINAL JUSTICE by Robert Bohm – Keith Haley. 95. Torts, Cases and Materials (University Casebook Series) by Victor Schwartz – Kathryn Kelly – David Partlett. 96. Constitutional Law, 18th: 2015 Supplement (University Casebook Series) by Kathleen Sullivan – Noah Feldman. 97. Legal Aspects Of Health Care Administration by George D. Pozgar – Nina Santucci. 98. Constitutional Law: Principles and Policies, 4th Edition (Aspen Student Treatise Series) by Erwin Chemerinsky. 99. Cases and Materials on Employment Discrimination, Eighth Edition (Aspen Casebook) by Michael J. Zimmer – Charles A. Sullivan – Rebecca Hanner White. 100. Dynamic Business Law: The Essentials, 3dr Edition by Nancy Kubasek – M. Neil Browne – Daniel Herron – Lucien Dhooge – Linda Barkacs. 1. Constitutional Law, Fourth Edition (Aspen Casebook) by Erwin Chemerinsky. 2. Constitutional Law, Seventh Edition (Aspen Casebook Series) by Geoffrey R. Stone – Louis M. Seidman – Cass R. Sunstein – Mark V. Tushnet – Pamela S. Karlan. 3. Constitutional Law: 2015 Case Supplement by Erwin Chemerinsky. 4. Constitutional Law: Principles and Policies (Aspen Student Treatise) by Erwin Chemerinsky. 5. Constitutional Law (University Casebook Series) by Kathleen Sullivan – Noah Feldman. 6. Processes of Constitutional Decisionmaking (Aspen Casebook) by Paul Brest – Sanford Levinson – Jack M. Balkin – Akhil Reed Amar – Reva B. Siegel. 7. Examples and Explanations: Constitutional Law: National Power and Federalism, Sixth Edition (Examples & Explanations) by Christopher N. May. 8. Constitutional Law: 2015 Supplement by Geoffrey R. Stone. 9. Constitutional Law, 18th: 2015 Supplement (University Casebook Series) by Kathleen Sullivan – Noah Feldman. 10. Constitutional Law: Principles and Policies, 4th Edition (Aspen Student Treatise Series) by Erwin Chemerinsky. 11. Constitutional Law for a Changing America: Rights, Liberties, and Justice (Ninth Edition) by . 12. The Words We Live By: Your Annotated Guide to the Constitution (Stonesong Press Books) by Linda R. Monk. 13. Constitutional Law for a Changing America: Institutional Powers and Constraints, 8th Edition by Lee Epstein – Thomas G. Walker. 14. Constitutional Law and the Criminal Justice System by J. Scott Harr – Kären M. Hess – Christine Hess Orthmann – Jonathan Kingsbury. 15. Constitutional Law: Rights, Liberties and Justice 8th Edition (Constitutional Law for a Changing America) by Lee Epstein – Thomas G. Walk. 16. A Matter of Interpretation: Federal Courts and the Law (The University Center for Human Values Series) by Antonin Scalia. 17. Legal Guide for Police: Constitutional Issues by Jeffery T. Walker – Craig Hemmens. 18. Administrative Procedure and Practice (American Casebook Series) by William Funk – Sidney Shapiro – Russell Weaver. 19. Constitutional Law and Politics: Civil Rights and Civil Liberties (Ninth Edition) (Vol. 2) by David M. O’Brien. 20. American Constitutional Law: Powers and Liberties, Fourth Edition (Aspen Casebooks) by Calvin R. Massey. 21. Constitutional Law: Cases Comments and Questions (American Casebook Series) by Jesse Choper – Richard Fallon Jr – Yale Kamisar – Steven Shiffrin – Michael Dorf – Frederick Schauer. 22. Administrative Law: Cases and Materials, Sixth Edition (Aspen Casebooks) by Ronald A. Cass – Colin S. Diver – Jack M. Beermann – Jody Freeman. 23. The Constitution of the United States (University Casebook Series) by Michael Paulsen – Steven Calabresi – Michael McConnell – Samuel Bray. 24. Information Privacy Law (Aspen Casebook) by Daniel J. Solove – Paul Schwartz. 25. How Democratic is the American Constitution? Second Edition by Robert A. Dahl. 26. Gunfight: The Battle Over the Right to Bear Arms in America by Adam Winkler. 27. The Regulatory State, Second Edition (Aspen Casebook) by Lisa Schultz Bressman – Edward L. Rubin – Kevin M. Stack. 28. Casenote Legal Briefs: Wills Trusts & Estates, Keyed to Dukeminier & Sitkoff, Ninth Edition by . 29. Casenote Legal Briefs: Constitutional Law, Keyed to Chemerinsky, Fourth Edition by . 30. Constitutional Law for a Changing America; A Short Course by . 31. Statutes, Regulation, and Interpretation: Legislation and Administration in the Republic of Statute (American Casebook Series) by William Eskridge Jr – Abbe Gluck – Victoria Nourse. 32. Constitutional Law: A Contemporary Approach (Interactive Casebook Series) by Gregory Maggs – Peter Smith. 33. The First Amendment, Fourth Edition (Aspen Casebooks) by Geoffrey R. Stone – Louis M. Seidman – Cass R. Sunstein – Mark V. Tushnet – Pamela S. Karlan. 34. Original Intent: The Courts, the Constitution, & Religion by David Barton. 35. Constitutional Law for Criminal Justice by Jacqueline R. Kanovitz. 36. State and Federal Administrative Law (American Casebook Series) by Michael Asimow – Ronald Levin. 37. Processes of Constitutional Decisionmaking: Cases and Material 2015 Supplement by Paul Brest. 38. Constitutional Law and Politics, Vol. 2: Civil Rights and Civil Liberties, 8th Edition by David M. O’Brien. 39. Constitutional Law (University Casebook Series) by Jonathan Varat – Vikram Amar – William Cohen. 40. Leading Cases in Constitutional Law, A Compact Casebook for a Short Course (American Casebook Series) by Jesse Choper – Richard Fallon Jr. – Michael Dorf – Frederick Schauer. 41. Cases and Materials on Constitutional Law, Themes for the Constitution’s Third Century (American Casebook Series) by Daniel Farber – William Eskridge Jr – Philip Frickey – Jane Schacter. 42. Plessy v. Ferguson: A Brief History with Documents by . 43. CrunchTime: Constitutional Law (Emanuel Crunchtime) by Steven Emanuel. 44. Examples & Explanations: Constitutional Law: Individual Rights, Sixth Edition by Allan Ides. 45. The Anti-Federalist Papers and the Constitutional Convention Debates (Signet Classics) by . 46. Religion and the Constitution, Third Edition (Aspen Casebook) by Michael W. McConnell – John H. Garvey – Thomas C. Berg. 47. Foreign Relations Law: Cases & Materials, Fifth Edition (Aspen Casebooks) by Curtis A. Bradley – Jack L. Goldsmith. 48. The First Amendment and Related Statutes, Problems, Cases and Policy Argument (University Casebook Series) by Eugene Volokh. 49. Modern Constitutional Law: Cases and Notes, Unabridged (American Casebook Series) by Ronald Rotunda. 50. Emanuel Law Outlines: Constitutional Law by Steven L. Emanuel. 51. Constitutional Law (John C. Klotter Justice Administration Legal) by Jacqueline Kanovitz. 52. Casenote Legal Briefs: Criminal Law, Keyed to Dressler and Garvey, Sixth Edition by Casenote Legal Briefs. 53. Active Liberty: Interpreting Our Democratic Constitution by Stephen Breyer. 54. Administrative Law for Public Managers by David H Rosenbloom. 55. Examples & Explanations: Administrative Law by William Funk. 56. Casenote Legal Briefs: Constitutional Law, Keyed to Sullivan and Feldman, Eighteenth Edition by Casenote Legal Briefs. 57. Bill of Rights: with Writings that Formed Its Foundation (Little Books of Wisdom) by James Madison – George Mason. 58. American Constitutionalism: Volume I: Structures of Government by Whittington – Keith E. – Graber – Mark A. – Gillman – Howard. 59. American Constitutional Law: Powers and Liberties 2015 Case Supplement by Calvin R. Massey. 60. Florida Constitutional Law: Cases and Materials, Fifth Edition by John F. Cooper – Tishia A. Dunham – Carlos L. Woody. 61. Sullivan and Feldman’s Constitutional Law, 18th, 2013 Supplement (University Casebook Series) by Kathleen Sullivan – Noah Feldman. 62. Examples & Explanations: Administrative Law, Fourth Edition by William F. Funk. 63. The American Supreme Court: Fifth Edition (The Chicago History of American Civilization) by Robert G. McCloskey. 64. The Second Amendment Primer: A Citizen’s Guidebook to the History, Sources, and Authorities for the Constitutional Guarantee of the Right to Keep and Bear Arms by Les Adams. 65. Gilbert Law Summaries on Constitutional Law by Jesse Choper. 66. A Well-Regulated Militia: The Founding Fathers and the Origins of Gun Control in America by Saul Cornell. 67. American Constitutionalism: Volume II: Rights & Liberties by Howard Gillman – Mark A. Graber – Keith E. Whittington. 68. American Constitutional Law: Structure and Reconstruction, Cases, Notes, and Problems, 5th (American Casebook Series) by Charles Shanor. 69. Constitutional Law and Politics: Struggles for Power and Governmental Accountability (Ninth Edition) (Vol. 1) by David M. O’Brien. 70. Constitutional Law and the Criminal Justice System, 5th Edition by J. Scott Harr – Kären M. Hess – Christine H. Orthmann. 71. The Words We Live By: Your Annotated Guide to the Constitution (Stonesong Press Books) by Linda R. Monk. 72. Constitutional Law 3e by Erwin Chemerinsky. 73. Constitutional Law for a Changing America: A Short Course, 5th Edition by Lee Epstein – Thomas G Walk. 74. Novus Ordo Seclorum: The Intellectual Origins of the Constitution by Forrest McDonald. 75. American Constitutional Law, Volume II: The Bill of Rights and Subsequent Amendments (American Constitutional Law: The Bill of Rights & Subsequent Amendments (V2)) by Ralph A. Rossum – G. Alan Tarr. 76. The Gun Debate: What Everyone Needs to Know® by Philip J. Cook – Kristin A. Goss. 77. Federal Administrative Law, Cases and Materials (University Casebook Series) by Kristin Hickman – Richard Pierce Jr.
78. National Security and Double Government by Michael J. Glennon. 79. American Constitutional Law, Volume I, Sources of Power and Restraint, 6th by Jr. Otis H. Stephens – II John M. Scheb – Colin Glennon. 80. The Bill of Rights: Creation and Reconstruction by Professor Akhil Reed Amar – Akhil Reed Amar. 81. Legal Issues In Information Security (Jones & Bartlett Learning Information Systems Security & Assurance Series) by Joanna Lyn Grama. 82. The Constitution: Understanding America’s Founding Document (Values and Capitalism) by Michael S. Greve. 83. Then Comes Marriage: United States V. Windsor and the Defeat of DOMA by Roberta Kaplan – Lisa Dickey. 84. Constitutional Law, Cases and Materials, 14th: 2015 Supplement (University Casebook Series) by Jonathan Varat – Vikram Amar. 85. A Short and Happy Guide to Constitutional Law (Short and Happy Series) by Mark Alexander. 86. The Federalist: A Commentary on the Constitution of the United States (Modern Library Classics) by Alexander Hamilton – John Jay – James Madison. 87. Constitutional Law: Principles and Policy, Cases and Materials Eighth Edition by Jerome A. Barron – C. Thomas Dienes – Wayne McCormack – Martin H. Redish. 88. Casenote Legal Briefs: Criminal Procedure, Keyed to Chemerinsky and Levenson, Second Edition by Casenote Legal Briefs. 89. Liberty, Order, and Justice: An Introduction to the Constitutional Principles of American Government by James McClellan. 90. First Amendment Law (University Casebook Series) by Kathleen Sullivan – Noah Feldman. 91. Casenote Legal Briefs: Civil Procedure, Keyed to Friedenthal, Miller, Sexton, and Hershkoff, Eleventh Edition by Casenote Legal Briefs. 92. Make No Law: The Sullivan Case and the First Amendment by Anthony Lewis. 93. Firearms Law & the Second Amendment; Regulation, Rights, and Policy (Aspen Casebooks) by Nicholas J. Johnson – David B. Kopel – George A. Mocsary – Michael P. O’Shea. 94. The Constitution, The Declaration of Independence, and the Articles of Confederation by Thomas Jefferson. 95. Constitutional Law: A Contemporary Approach (Interactive Casebook Series) by Gregory Maggs – Peter Smith. 96. Constitutional Law, 17th (University Casebooks) (University Casebook Series) by Kathleen Sullivan – Gerald Gunther. 97. Constitutional Law Stories by Michael Dorf. 98. Not a Suicide Pact: The Constitution in a Time of National Emergency (Inalienable Rights) by Richard A. Posner. 99. Constitutional Law: Principles And Policies (Introduction to Law Series) by Erwin Chemerinsky. 1. Legal Writing in Plain English, Second Edition: A Text with Exercises (Chicago Guides to Writing, Editing, and Publishing) by Bryan A. Garner. 2. The Bluebook: A Uniform System of Citation by . 3. How to Start & Build a Law Practice (Career Series / American Bar Association) by Jay G. Foonberg. 4. Getting To Maybe: How to Excel on Law School Exams by Richard Michael Fischl – Jeremy Paul. 5. Criminal Law (Quick Study Law) by Inc. BarCharts. 6. Every Landlord’s Tax Deduction Guide by Stephen Fishman J.D..
7. The Winning Brief: 100 Tips for Persuasive Briefing in Trial and Appellate Courts by Bryan A. Garner. 8. Learning from Practice: A Professional Development Text for Legal Externs (American Casebook Series) by J Ogilvy – Leah Wortham – Lisa Lerman – Alexis Anderson – Margaret Barry – Stacy Brustin – Liz Cole. 9. McElhaney’s Trial Notebook by James W. McElhaney. 10. U.S. Immigration Made Easy by Ilona Bray J.D..
11. A Manual of Style for Contract Drafting by Kenneth A. Adams. 12. A History of American Law: Third Edition by Lawrence M. Friedman. 13. Garner’s Dictionary of Legal Usage by Bryan Garner. 14. Invention Analysis and Claiming: A Patent Lawyer’s Guide by Ronald D. Slusky. 15. Business Organizations for Paralegals, Sixth Edition (Aspen College) by Deborah E. Bouchoux. 16. How to Probate an Estate in California by Julia Nissley. 17. Cases and Materials on the Legal Profession (American Casebook Series) by Robert Cochran Jr – Teresa Collett. 18. Reading Like a Lawyer: Time-Saving Strategies for Reading Law Like an Expert by Ruth Ann McKinney. 19. Criminal Law and Its Processes: Cases And Materials by Sanford H. Kadish – Stephen J. Schulhofer – Professor Carol S. Steiker. 20. MacCarthy on Cross Examination by Terence MacCarthy. 21. Barron’s Law Dictionary by Steven H. Gifis. 22. Fiance and Marriage Visas: A Couple’s Guide to U.S. Immigration by Ilona Bray JD. 23. Writing to Win: The Legal Writer: The Complete Guide to Writing Strategies That Will Make Your Case.. and Win It! by Steven D. Stark. 24. Corporations (Introduction to Law Series) by James D. Cox – Thomas Lee Hazen. 25. Barron’s Law Dictionary: Mass Market Edition (Barron’s Legal Guides) by Steven H. Gifis. 26. Law 101: Everything You Need to Know About the American Legal System by Jay M. Feinman. 27. The Five Types of Legal Argument, Third Edition by Wilson Huhn. 28. Dictionary of Legal Terms: Definitions and Explanations for Non-Lawyers by Steven H. Gifis. 29. Constitutional Law Stories by Michael C. Dorf. 30. Critical Race Theory: The Key Writings That Formed the Movement by . 31. Quicken Willmaker Plus 2012 Edition: Book & Software Kit by Editors Of Nolo. 32. Black’s Law Dictionary (Pocket), 3rd Edition by . 33. Environmental Law Handbook by Christopher L. Bell – F. William Brownell – David R. Case – Kevin A. Ewing – Jessica O. King – Stanley W. Landfair – Duke K., III McCall – Marshall Lee Miller – Karen J. Nardi – Austin P. Olney – Thomas Richichi – John M. Scagnelli – James W. Spensley – Daniel M. Steinway – Rolf R. von Oppenfeld. 34. Writing a Legal Memo (University Casebook Series) by John Bronsteen. 35. The American Dictionary of Criminal Justice: Key Terms and Major Court Cases by Dean John Champion. 36. Law: A Very Short Introduction by Raymond Wacks. 37. Nolo’s Essential Guide to Child Custody and Support (Nolo’s Essential Guide to Child Custody & Support) by Emily Doskow Attorney. 38. How to Make Patent Drawings: Save Thousands of Dollars and Do It With a Camera and Computer! by Jack Lo – David Pressman Attorney. 39. Statistics for Lawyers (Statistics for Social and Behavioral Sciences) by Michael O. Finkelstein – Bruce Levin. 40. Becoming a U.S. Citizen: A Guide to the Law, Exam & Interview by Ilona Bray JD. 41. Adversarial Legalism: The American Way of Law by Robert A. Kagan. 42. The Winning Brief: 100 Tips for Persuasive Briefing in Trial and Appellate Courts by Bryan A. Garner. 43. Essentials of Sports Law, 4th Edition by Glenn M. Wong. 44. How and When to be Your Own Lawyer by Robert W. Schachner. 45. Statistics for Lawyers (Statistics for Social and Behavioral Sciences) by Michael O. Finkelstein – Bruce Levin. 46. Murder, Culture, and Injustice: Four Sensational Cases in American History. by Walter L. Hixson. 47. Managing E-Discovery and ESI: From Pre-Litigation to Trial by . 48. Criminal Procedure Stories: An In-Depth Look at Leading Criminal Procedure Cases (Law Stories) by Carol Steiker. 49. Admiralty in a Nutshell by Frank Maraist – Thomas Galligan – Catherine Maraist. 50. Moving Diversity Forward: How to Go From Well-Meaning to Well-Doing by Verna A. Myers. 51. A Handbook of Criminal Law Terms (Black’s Law Dictionary Series) by Bryan A. Garner. 52. Literature and the Law (Coursebook) by Thomas Morawetz. 53. Negotiation and Settlement Advocacy: A Book of Readings (American Casebook Series) by Charles Wiggins – L. Lowry. 54. Cite-Checker: Your Guide to Using the Bluebook, Third Edition (Aspen College) by Deborah E. Bouchoux. 55. Legal, Legislative and Rule Drafting in Plain English (American Casebook Series) by Robert Martineau – Michael Salerno. 56. Legal Research for Beginners by Sonja Larsen. 57. The Blackwell Guide to the Philosophy of Law and Legal Theory by . 58. Legal Secretary’s Complete Handbook, Fourth Edition by Mary A. DeVries. 59. How to Please the Court: A Moot Court Handbook (Teaching Texts in Law and Politics, V. 37) by . 60. An Introduction to the Anglo-American Legal System: Readings and Cases, Fourth Edition (American Casebook Series) by Edgar Bodenheimer – John Oakley – Jean Love. 61. Nolo’s Encyclopedia of Everyday Law: Answers to Your Most Frequently Asked Legal Questions, 8th Edition by Shae Irving – Nolo Editors. 62. A Practical Guide to Software Licensing for Licensees and Licensors by H. Ward Classen. 63. Dictionary of Legal Terms by Steven H. Gifis. 64. Legal Guide for Police: Constitutional Issues by Jeffery Walker – Craig Hemmens. 65. Law in A Flash Cards: Multistate Bar Review Set (Law in a Flash Cards Ser) by Steven Emanuel – Kimm Alayne Walton. 66. The Divorce Trial Manual: From Initial Interview to Closing Argument by Lynne Z. Gold-Bikin – Stephen Kolodny. 67. 1001 Legal Words You Need to Know: The Ultimate Guide to the Language of the Law by . 68. Of Counsel: A Guide for Law Firms and Practitioners by Jean L. Batman – Harold G. Wren – Beverly J. Glascock. 69. Estate Planning for Blended Families: Providing for Your Spouse & Children in a Second Marriage by Richard E. Barnes. 70. Transforming Practices: Finding Joy and Satisfaction in the Legal Life by Steven Keeva. 71. Neighbor Law: Fences, Trees, Boundaries & Noise by Emily Doskow – Lina Guillen. 72. The Criminal Justice Student Writer’s Manual (5th Edition) by William A. Johnson Jr. – Richard P. Rettig – Greg M Scott – Stephen M. Garrison. 73. The Common Law by Oliver Wendell Holmes Jr..
74. Trademark And Unfair Competition Law: Cases And Materials by Jane C. Ginsburg – Jessica Litman – Mary L. Kevlin. 75. Law of Agency and Partnership (Hornbook) by William Gregory. 76. Product Liability Desk Reference by Morton F. Daller. 77. Minding Your Own Business: The Solo and Small Firm Lawyer’s Guide to a Profitable Practice by Ann Guinn. 78. Quick & Legal Will Book by Denis Clifford. 79. Practicing Persuasive Written and Oral Advocacy: Caes File III (Problem Supplement) by David W. Miller – Michael Vitiello – Michael R. Fontham. 80. Reference Manual on Scientific Evidence:: Third Edition by Technology, and Law Committee on Science – Federal Judicial Center – National Research Council – Policy and Global Affairs – Committee on the Development of the Third Edition of the Reference Manual on Scientific Evidence. 81. Whose Monet? : An Introduction to the American Legal System (Introduction to Law Series) by Professor John Humbach. 82. Administrative Law and Procedure (Lq-Paralegal) by Elizabeth C. Richardson. 83. International Law in the 21st Century: Rules for Global Governance (New Millennium Books in International Studies) by Christopher C. Joyner. 84. Encyclopedia of Education Law (2 Volume Set) by . 85. The Law of Athens, Volume 1 of 2 by A. R. W. Harrison. 86. What Every Lawyer Needs to Know About Immigration Law by . 87. Patent, Copyright & Trademark: An Intellectual Property Desk Reference by Richard Stim Attorney. 88. Heritage Resources Law: Protecting the Archeological and Cultural Environment by National Trust for Historic Preservation. 89. Guidebook for Directors of Nonprofit Corporations by ABA Nonprofit Organizations Committee. 90. Fight Your Ticket & Win in California by David W. Brown Attorney. 91. Law in a Lawless Land: Diary of a Limpieza in Colombia by Michael Taussig. 92. How to Form a Nonprofit Corporation by Anthony Mancuso Attorney. 93. Real Estate Law & Asset Protection for Texas Real Estate Investors – Third Edition by David J Willis. 94. Library’s Legal Answer Book by Mary Minow. 95. Inmigración a los EE.UU. Paso a Paso (Inmigracion a Los Ee.Uu. Paso a Paso (Immigration to the United) (Spanish Edition) by Edwin Gania. 96. The Wolters Kluwer Bouvier Law Dictionary: Quick Reference by Stephen Michael Sheppard. 97. 101 Law Forms for Personal Use by Nolo Editors. 98. DEATH OF CONTRACT: SECOND EDITION by GRANT GILMORE. 99. CliffsQuickReview Criminal Justice by Dennis Hoffman. 100. Legal Research: How to Find & Understand the Law by Stephen Elias – Editors of Nolo. 1. Cases and Materials on Criminal Law, 6th Edition (American Casebook Series) by Joshua Dressler – Stephen P. Garvey. 2. Criminal Law and Its Processes: Cases and Materials (Aspen Casebook Series), 9th Edition by Sanford H. Kadish – Stephen J. Schulhofer – Carol S. Steiker – Rachel E. Barkow. 3. Criminal Justice: A Brief Introduction (11th Edition) by Frank J. Schmalleger. 4. Property A Contemporary Approach (Interactive Casebook Series) by John Sprankling – Raymond Coletta. 5. Ethical Dilemmas and Decisions in Criminal Justice (Ethics in Crime and Justice) by Joycelyn M. Pollock. 6. Juvenile Delinquency: The Core by Larry J. Siegel – Brandon C. Welsh. 7. America’s Courts and the Criminal Justice System by David W. Neubauer – Henry F. Fradella. 8. Community Policing: Partnerships for Problem Solving by Linda S. Miller – Kären M. Hess – Christine M.H. Orthmann. 9. Criminal Investigation by Christine Hess Orthmann – Kären M. Hess. 10. Understanding Criminal Law, 6th Edition by Joshua Dressler. 11. Criminal Law by Joel Samaha. 12. The Police in America: An Introduction by Samuel Walker – Charles Katz. 13. The Return of Martin Guerre by Natalie Zemon Davis. 14. Inside Terrorism by Bruce Hoffman. 15. Essentials of Criminal Justice by Larry J. Siegel – John L. Worrall. 16. Criminal Procedure: Investigating Crime, 5th (American Casebook Series) by Joshua Dressler – George Thomas III. 17. The Color of Justice: Race, Ethnicity, and Crime in America (The Wadsworth Contemporary Issues in Crime and Justice Series) by Samuel Walker – Cassia Spohn – Miriam DeLone. 18. Incognito: The Secret Lives of the Brain by David Eagleman. 19. Criminal Law: Cases & Materials, Seventh Edition (Aspen Casebook Series) by John Kaplan – Robert Weisberg – Guyora Binder. 20. INTRODUCTION TO CRIMINAL JUSTICE by Robert Bohm – Keith Haley. 21. Are Prisons Obsolete? by Angela Y. Davis. 22. Examples & Explanations: Criminal Law, Sixth Edition by Richard G. Singer. 23. Criminal Investigation by Charles Swanson – Neil Chamelin – Leonard Territo – Robert W Taylor. 24. Criminal Procedure: Investigation, Second Edition (Aspen Casebook) by Erwin Chemerinsky. 25. Basic Criminal Procedure: Cases, Comments and Questions (American Casebook Series) by Yale Kamisar – Wayne LaFave – Jerold Israel – Nancy King – Orin Kerr – Eve Primus. 26. Sense and Nonsense About Crime, Drugs, and Communities by Samuel Walker. 27. Corrections in the 21st Century by Frank Schmalleger – John Smykla. 28. Criminal Procedure by Joel Samaha. 29. Criminal Procedure: Investigation & Right To Counsel, 2nd Edition (Aspen Casebooks) by Ronald J. Allen – William J. Stuntz – Joseph L. Hoffmann – Debra Livingston – Andrew D. Leipold. 30. Comprehensive Criminal Procedure: 2015 Case Supplement by Ronald Jay Allen. 31. Media, Crime, and Criminal Justice by Ray Surette. 32. Criminal Law Today (5th Edition) by Frank J. Schmalleger – Daniel Hall. 33. Criminal Law by Thomas J. Gardner – Terry M. Anderson. 34. Cases and Materials on Criminal Law (American Casebook Series) by Joshua Dressler – Stephen Garvey. 35. Basics of Research Methods for Criminal Justice and Criminology by Michael G. Maxfield – Earl R. Babbie. 36. Legal Guide for Police: Constitutional Issues by Jeffery T. Walker – Craig Hemmens. 37. Criminology by Larry J. Siegel. 38. Trusted Criminals: White Collar Crime In Contemporary Society by David O. Friedrichs. 39. Criminal Procedure: Principles, Policies and Perspectives, 5th (American Casebook Series) by Joshua Dressler – George Thomas III. 40. Criminology by Freda Adler – William Laufer – Gerhard O. Mueller. 41. Criminal Law and Procedure by John M. Scheb – II John M. Scheb. 42. CJ 2015 (The Justice Series) by James A. Fagin. 43. The American System of Criminal Justice by George F. Cole – Christopher E. Smith – Christina DeJong. 44. Courtroom 302: A Year Behind the Scenes in an American Criminal Courthouse by Steve Bogira. 45. An Introduction to Policing by John S. Dempsey – Linda S. Forst. 46. Criminal Courts: A Contemporary Perspective by Craig T. Hemmens – David C. Brody – Cassia C. Spohn. 47. Criminal Procedure, Second Edition (Aspen Casebooks) by Erwin Chemerinsky – Laurie L. Levenson. 48. Police Operations: Theory and Practice by Kären M. Hess – Christine H. Orthmann – Henry Lim Cho. 49. Criminal Procedure: Principles, Policies and Perspectives, 5th, 2015 Supplement (American Casebook Series) by Joshua Dressler – George Thomas III. 50. Criminology: The Core, 4th Edition by Larry J. Siegel. 51. The Invisible Woman: Gender, Crime, and Justice (Wadsworth Contemporary Issues in Crime and Justice) by Joanne Belknap. 52. Understanding Criminal Procedure: Volume One, Investigation by Joshua Dressler – Alan C. Michaels. 53. Cases and Materials on Criminal Law, 7th – CasebookPlus (American Casebook Series) by Joshua Dressler – Stephen Garvey. 54. Juvenile Justice by Kären M. Hess – Christine Hess Orthmann – John Paul Wright. 55. Actual Innocence: When Justice Goes Wrong and How to Make it Right by Barry Scheck – Peter Neufeld – Jim Dwyer. 56. Comprehensive Criminal Procedure, 3rd Edition (Aspen Casebook) by Ronald Jay Allen – William J. Stuntz – Joseph L. Hoffman – Debra A. Livingston – Andrew D. Leipold. 57. Criminal Law and Procedure by Daniel E. Hall. 58. Criminal Evidence: Principles and Cases by Thomas J. Gardner – Terry M. Anderson. 59. Criminal Law (Quick Study Law) by Inc. BarCharts. 60. Housing Policy in the United States by Alex F. Schwartz. 61. CJ: Realities and Challenges by Ruth E. Masters – Lori Beth Way – Phyllis B. Gerstenfeld – Bernadette T. Muscat – Michael Hooper – John P.J. Dussich – Lester Pincu – Candice A. Skrapec. 62. Criminal Procedure: 2015 Case and Statutory Supplement by Erwin Chemerinsky. 63. Introduction to Criminal Justice by Larry J. Siegel – John L. Worrall. 64. Juvenile Justice: A Guide to Theory, Policy, and Practice by Steven M. Cox – Jennifer M. Allen – Robert (Rob) D. Hanser – John J. Conrad. 65. Modern Criminal Procedure, Basic Criminal Procedure and Advanced Criminal Procedure 14th: 2015 Supp (American Casebook Series) by Yale Kamisar – Wayne LaFave – Jerold Israel – Nancy King – Orin Kerr – Eve Primus. 66. Juvenile Delinquency: Theory, Practice, and Law by Larry J. Siegel – Brandon C. Welsh. 67. America’s Courts and the Criminal Justice System by David W. Neubauer – Henry F. Fradella. 68. Criminal Law and Procedure (University Casebook Series) by Donald Dripps – Ronald Boyce – Rollin Perkins. 69. Criminal Procedure for the Criminal Justice Professional by John N. Ferdico – Henry F. Fradella – Christopher D. Totten. 70. Delinquency In Society by Robert M. Regoli – John D. Hewitt – Matt DeLisi. 71. Arc of Justice: A Saga of Race, Civil Rights, and Murder in the Jazz Age by Kevin Boyle. 72. Criminal Law, Cases and Materials, 3d (American Casebook Series) by Cynthia Lee – Angela Harris. 73. The Police Function (University Casebook Series) by Frank Miller – Robert Dawson – George Dix – Raymond Parnas. 74. Criminal Law by Joel Samaha. 75. Ethics, Crime, and Criminal Justice (2nd Edition) by Christopher R. Williams – Bruce A. Arrigo Ph.D..
76. Multiculturalism in the Criminal Justice System by Robert McNamara – Ronald Burns. 77. Dead Man Walking: The Eyewitness Account Of The Death Penalty That Sparked a National Debate by Helen Prejean. 78. Criminal Procedure and the Constitution, Leading Supreme Court Cases and Introductory Text, 2015 (American Casebook Series) by Jerold Israel – Yale Kamisar – Wayne LaFave – Nancy King – Eve Primus. 79. Juvenile Delinquency: The Core by Larry J. Siegel – Brandon C. Welsh. 80. Research Methods for Criminal Justice and Criminology, 6th Edition by Michael G. Maxfield – Earl R. Babbie. 81. Criminal Justice by James A. Inciardi. 82. Taking Sides: Clashing Views in Crime and Criminology by Thomas Hickey. 83. American Criminal Procedure, Investigative: Cases and Commentary 10th (American Casebook Series) by Stephen Saltzburg – Daniel Capra. 84. Principles of Criminal Law (6th Edition) by Harvey Wallace – Cliff Roberson. 85. Criminal Law: Cases and Materials by John Kaplan – Robert Weisberg – Guyora Binder. 86. Criminal Procedure (2nd Edition) by John L. Worrall. 87. Criminal Law by Thomas J. Gardner – Terry M. Anderson. 88. Contemporary Criminal Law: Concepts, Cases, and Controversies by Matthew Lippman. 89. Casenotes Legal Briefs: Criminal Law Keyed to Kadish, Schulhofer, Steiker, & Barkow, Ninth Edition by Casenote Legal Briefs. 90. Criminal Law for the Criminal Justice Professional by Norman Garland. 91. Crime and Public Policy by . 92. Essentials of Criminal Justice by Larry J. Siegel – John L. Worrall. 93. Modern Criminal Procedure, Cases, Comments, & Questions (American Casebook Series) by Yale Kamisar – Wayne LaFave – Jerold Israel – Nancy King – Orin Kerr – Eve Primus. 94. Criminal Procedure: From First Contact to Appeal (5th Edition) by John L. Worrall. 95. Juvenile Justice: Policies, Programs, and Practices by Robert W Taylor – Eric Fritsch. 96. Criminal Procedure: Adjudication (Aspen Casebooks) by Ronald Jay Allen – William J. Stuntz – Joseph L. Hoffmann – Debra Livingston – Andrew D. Leipold. 97. Introduction to Private Security by John S. Dempsey. 98. Criminal Procedure: Adjudication, Second Edition (Aspen Casebook) by Erwin Chemerinsky. 99. Policing in America by Larry K. Gaines – Victor E. Kappeler. 100. Criminal Justice (with InfoTrac) (Available Titles CengageNOW) by Joel Samaha. 1. J.K. Lasser’s Your Income Tax 2016: For Preparing Your 2015 Tax Return by J.K. Lasser Institute. 2. Federal Income Taxation, Sixteenth Edition (Aspen Casebook) by Joseph Bankman – Daniel N. Shaviro – Kirk J. Stark. 3. Fundamentals of Federal Income Taxation (University Casebook Series) by James Freeland – Daniel Lathrope – Stephen Lind – Richard Stephens. 4. Selected Sections Federal Income Tax Code and Regulations (Selected Statutes) by Steven Bank – Kirk Stark. 5. Logic of Subchapter K: A Conceptual Guide to Taxation of Partnerships (American Casebook Series) by Laura Cunningham – Noel Cunningham. 6. Selected Federal Taxation Statutes and Regulations (Selected Statutes) by Daniel Lathrope. 7. The Law of Journalism and Mass Communication by . 8. Examples & Explanations: Federal Income Taxation by Joseph Bankman. 9. Federal Income Taxation, Principles and Policies (University Casebook Series) by Michael Graetz – Deborah Schenk. 10. Fundamentals of Corporate Taxation (University Casebook Series) by Stephen Schwarz – Daniel Lathrope. 11. Selected Sections Corporate and Partnership Income Tax Code and Regulations, 2015-2016 (Selected Statutes) by Steven Bank – Kirk Stark. 12. Examples & Explanations: Corporate Taxation, 4th Edition by Cheryl D. Block. 13. Fundamentals of Partnership Taxation (University Casebook Series) by Stephen Schwarz – Daniel Lathrope. 14. Selected Federal Taxation Statutes and Regulations 2015 by Daniel J. Lathrope. 15. Income Tax Fundamentals 2015 (with H&R Block Premium & Business Software CD-ROM) by Gerald E. Whittenburg – Martha Altus-Buller – Steven Gill. 16. The Codes Guidebook for Interiors by Sharon K. Harmon – Katherine E. Kennon. 17. International Business Transactions (Aspen Casebook) by Daniel C.K. Chow – Thomas J. Schoenbaum. 18. Federal Income Taxation (Concepts and Insights) by Marvin Chirelstein – Lawrence Zelenak. 19. Hospitality Law: Managing Legal Issues in the Hospitality Industry by Stephen C. Barth. 20. Antitrust Analysis: Problems, Text, and Cases, Seventh Edition (Aspen Casebook) by Phillip E. Areeda – Louis Kaplow – Aaron S. Edlin. 21. Every Landlord’s Tax Deduction Guide by Stephen Fishman J.D..
22. Income Tax Fundamentals 2016 (with H&R Block(TM) Premium & Business Access Code) by Gerald E. Whittenburg – Steven Gill – Martha Altus-Buller. 23. Taxes in America: What Everyone Needs to Know® by Leonard E. Burman – Joel Slemrod. 24. Smith, Currie and Hancock’s Common Sense Construction Law: A Practical Guide for the Construction Professional by Thomas J. Kelleher Jr. – John M. Mastin – Ronald G. Robey – Currie & Hancock LLP Smith. 25. Learning the Logic of Subchapter K: Problems and Assignments for a Course in the Taxation of Partnerships (American Casebook Series) by Laura Cunningham – Noel Cunningham. 26. Federal Income Taxation of Corporations & Partnerships, Fifth Edition (Aspen Casebook) by Richard L. Doernberg – Howard E. Abrams – Don Leatherman. 27. Prentice Hall’s Federal Taxation 2016 Individuals (29th Edition) by Thomas R. Pope – Timothy J. Rupert – Kenneth E. Anderson. 28. Prentice Hall’s Federal Taxation 2015 Comprehensive (28th Edition) by Thomas R. Pope – Timothy J. Rupert – Kenneth E. Anderson. 29. Federal Income Tax: A Contemporary Approach (Interactive Casebook Series) by Samuel Donaldson – Donald Tobin. 30. A Practical Guide to Media Law by Ashley Messenger. 31. PassKey EA Review Complete: Individuals, Businesses, and Representation: IRS Enrolled Agent Exam Study Guide: 2015-2016 Edition by David V. Sherwood – Christy Pinheiro – Richard Gramkow – Kolleen Wells. 32. Federal Income Taxation (Aspen Casebook) by Richard Schmalbeck – Lawrence Zelenak – Sarah B. Lawsky. 33. Civil Liberties and the Foreign Intelligence Surveillance Act (Terrorism: Documents of International and Local Control, Second Series) by . 34. Taxing Ourselves, 4th Edition: A Citizen’s Guide to the Debate over Taxes by Joel Slemrod – Jon Bakija. 35. Federal Income Taxation (Concepts and Insights) by Marvin Chirelstein – Lawrence Zelenak. 36. Taxes Made Simple: Income Taxes Explained in 100 Pages or Less by Mike Piper. 37. Prentice Hall’s Federal Taxation 2016 Comprehensive (29th Edition) by Thomas R. Pope – Timothy J. Rupert – Kenneth E. Anderson. 38. Federal Estate & Gift Taxes: Code & Regulations (Including Related Income Tax Provisions), As of March 2015 by CCH Tax Law Editors. 39. Fundamentals of Business Enterprise Taxation, 5th (University Casebook Series) by Stephen Schwarz – Daniel Lathrope. 40. Federal Income Taxation (American Casebook Series) by Joel Newman. 41. Legal Aspects of Architecture, Engineering and the Construction Process by Justin Sweet – Marc M. Schneier. 42. Hollywood Dealmaking: Negotiating Talent Agreements for Film, TV and New Media by Dina Appleton – Daniel Yankelevits. 43. Selected Sections Federal Income Tax Code and Regulations, 2014-2015 (Selected Statutes) by Steven Bank – Kirk Stark. 44. Federal Tax Research: Guide to Materials and Techniques (University Textbook Series) by Gail Richmond. 45. International Taxation in a Nutshell by Richard L. Doernberg. 46. Principles of Taxation for Business and Investment Planning, 2015 Edition by Sally Jones – Shelley Rhoades-Catanach. 47. Prentice Hall’s Federal Taxation 2016 Individuals Plus MyAccountingLab with Pearson eText — Access Card Package (29th Edition) by Thomas R. Pope – Timothy J. Rupert – Kenneth E. Anderson. 48. The Fundamentals of Federal Taxation: Problems and Materials, Third Edition by John A. Miller – Jeffrey A. Maine. 49. Cyberspace Law: Cases & Materials, Third Edition by Raymond S. R. Ku – Jacqueline D. Lipton. 50. Basic Federal Income Taxation (Aspen Casebook) by William D. Andrews – Peter J. Wiedenbeck. 51. Communication Law in America by Paul Siegel. 52. International Taxation (Concepts and Insights) by Joseph Isenbergh. 53. Modern Real Estate Finance & Land Transfer: A Transactional Approach, Fifth Edition (Aspen Casebooks) by Steven Bender – Celeste M. Hammond – Michael T. Madison – Robert M. Zinman. 54. Taxation of Individual Income by J. Martin Burke – Michael K. Friel. 55. 2012 International Fuel Gas Code (International Code Council Series) by International Code Council. 56. Prentice Hall’s Federal Taxation 2016 Corporations, Partnerships, Estates & Trusts (29th Edition) by Thomas R. Pope – Timothy J. Rupert – Kenneth E. Anderson. 57. Media Law for Producers by Philip Miller. 58. Prentice Hall’s Federal Taxation 2015 Individuals (28th Edition) (Prentice Hall’s Federal Taxation Individuals) by . 59. Advertising and Public Relations Law (Routledge Communication Series) by Roy L. Moore – Carmen Maye – Erik L. Collins. 60. Digital Media Law by Ashley Packard. 61. Examples & Explanations: Federal Income Taxation, 6th Edition by Joseph Bankman. 62. Corporate Taxation (Aspen Casebook) by George K. Yin – Karen C. Burke. 63. The Codes Guidebook for Interiors by Sharon K. Harmon – Katherine E. Kennon. 64. International Business Transactions: A Problem-Oriented Coursebook (American Casebook Series) by Ralph Folsom – Michael Gordon – John Spanogle – Peter Fitzgerald – Michael Van Alstine. 65. Black Letter Outline on Corporate and Partnership Taxation by Stephen Schwarz – Daniel Lathrope. 66. Cases and Materials on United States Antitrust in Global Context (American Casebook Series) by Eleanor Fox. 67. Cases, Text and Problems on Federal Income Taxation (American Casebook Series) by Larry D. Ward – Alan Gunn. 68. Codes, Regulations, and Standards in Interior Design by Samuel L. Hurt. 69. 422 Tax Deductions for Businesses & Self-Employed Individuals by Bernard B. Kamoroff. 70. The Individual Tax Base, Cases, Problems and Policies In Federal Taxation (American Casebook Series) by Laurie Malman – Linda Sugin – Lewis Solomon – Jerome Hesch. 71. Prentice Hall’s Federal Taxation 2015 Corporations, Partnerships, Estates & Trusts (28th Edition) by Thomas R. Pope – Timothy J. Rupert – Kenneth E. Anderson. 72. Taxation of Business Enterprises, Cases and Materials (American Casebook Series) by Robert Peroni – Steven Bank. 73. Taxation of International Transactions: Materials, Texts And Problems, 4th (American Casebook Series) by Charles Gustafson – Robert Peroni – Richard Pugh. 74. Federal Income Taxation by William A. Klein – Joseph Bankman – Daniel N. Shaviro – Kirk J. Stark. 75. PassKey EA Review Part 1:: Individuals, IRS Enrolled Agent Exam Study Guide: 2015-2016 Edition by David V Sherwood – Christy Pinheiro – Kolleen Wells – Richard Gramkow. 76. Federal Income Taxation of Trusts and Estates: Cases, Problems, and Materials (Carolina Academic Press Law Casebook) by Mark L. Ascher – Robert T. Danforth. 77. Federal Income Taxation of Partners and Partnerships in a Nutshell by Karen Burke. 78. Software & Internet Law, 4th Edition (Aspen Casebook Series) by Mark A. Lemley – Peter S. Menell – Robert P. Merges – Pamela Samuelson – Brian W. Carver. 79. Partnership Taxation, Second Edition (Aspen Casebook) by George K. Yin – Karen C. Burke. 80. Problems and Materials on Debtor and Creditor Law, Fifth Edition (Aspen Casebook) by Douglas J. Whaley – Jeffrey W. Morris. 81. Federal Wealth Transfer Taxation (University Casebook Series) by Paul McDaniel – James Repetti – Paul Caron. 82. Electronic Media Law and Regulation by Kenneth C. Creech. 83. Study Problems to Federal Income Taxation of Corporations (University Casebook Series) by Martin McMahon Jr – Daniel Simmons – Paul McDaniel. 84. New Tax Guide for Writers, Artists, Performers and other Creative People by Peter Jason Riley. 85. Principles of Taxation for Business and Investment Planning, 2014 Edition by Sally Jones – Shelley Rhoades-Catanach. 86. State and Local Taxation (American Casebook Series) by Walter Hellerstein – Kirk Stark – John Swain – Joan Youngman. 87. Federal Taxation of Wealth Transfers by Stephanie J. Willbanks. 88. International Taxation in a Nutshell (Nutshells) by Richard Doernberg. 89. Bank and Stark’s Selected Sections Federal Income Tax Code and Regulations, 2013-2014 (Selected Statutes) by Steven Bank – Kirk Stark. 90. Media Law and Ethics (Routledge Communication Series) by Roy L. Moore – Michael D. Murray. 91. Cases and Materials on Admiralty, 5th Edition (American Casebook) by Nicholas J. Healy – David J. Sharpe – David B. Sharpe – Peter Winship. 92. Federal Corporate Taxation (Concepts and Insights) by Howard Abrams – Richard Doernberg – Don Leatherman. 93. Construction Contracts by Jimmie Hinze. 94. Antitrust Law and Economics in a Nutshell by Ernest Gellhorn – William Kovacic – Stephen Calkins. 95. Federal Income Taxation, Principles and Policies (University Casebook Series) by Michael Graetz – Deborah Schenk. 96. The Federal Income Taxation of Corporations, Partnerships, Limited Liability Companies, and their Owners (University Casebook Series) by Jeffrey Kwall. 97. 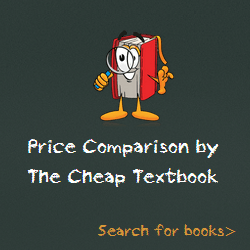 Examples & Explanations: Antitrust, Second Edition by Christopher Sagers. 98. Federal Estate and Gift Taxation in a Nutshell by John McNulty – Grayson McCouch. 99. Death by a Thousand Cuts: The Fight over Taxing Inherited Wealth by Michael J. Graetz – Ian Shapiro. 100. Law in a Flash Cards: Federal Income Tax, 2010 by Steven Emanuel. 1. Federal Rules of Civil Procedure: with Selected Statutes, Cases and Other Materials by Stephen C. Yeazell. 2. Torts, Cases and Materials (University Casebook Series) by Victor Schwartz – Kathryn Kelly – David Partlett. 3. Legal Writing and Analysis (Aspen Coursebook) by Linda H. Edwards. 4. Torts and Compensation: Personal Accountability and Social Responsibility for Injury, Concise, 7th Edition (American Casebook) by Dan Dobbs – Paul Hayden – Ellen Bublick. 5. Civil Procedure: A Coursebook (Aspen Casebooks) by Joseph W. Glannon – Andrew M. Perlman – Peter Raven-Hansen. 6. Basic Legal Research: Tools and Strategies (Aspen Coursebook) by Amy E. Sloan. 7. Future Crimes: Everything Is Connected, Everyone Is Vulnerable and What We Can Do About It by Marc Goodman. 8. Business Associations, Cases and Materials on Agency, Partnerships, and Corporations (University Casebook Series) by William Klein – J. Ramseyer – Stephen Bainbridge. 9. Contract Law, Selected Source Materials Annotated, 2015 Edition (Selected Statutes) by Steven Burton – Melvin Eisenberg. 10. Writing and Analysis in the Law, 6th Edition by Helene Shapo – Marilyn Walter – Elizabeth Fajans. 11. Get It Together: Organize Your Records So Your Family Won’t Have To by Melanie Cullen – Shae Irving J.D. J.D..
12. Examples & Explanations: The Law of Torts by Joseph W. Glannon. 13. Business Associations: Agency, Partnerships, LLCs, and Corporations (Selected Statutes) by William Klein – J. Ramseyer – Stephen Bainbridge. 14. Legislation and Regulation, 2nd Edition (University Casebook) by John F. Manning – Matthew C. Stephenson. 15. Aspen Handbook for Legal Writers: A Practical Reference, Third Edition (Aspen Coursebook Series) by Deborah E. Bouchoux. 16. Getting To Maybe: How to Excel on Law School Exams by Richard Michael Fischl – Jeremy Paul. 17. Federal Rules of Evidence 2015-2016 Statutory and Case Supplement to Fisher’s Evidence, 3rd (University Casebook Series) by George Fisher. 18. Federal Rules of Civil Procedure and Selected Other Procedural Provisions (Selected Statutes) by Kevin Clermont. 19. Civil Procedure Supplement, For Use with All Pleading and Procedure Casebooks, 2015-2016 (Selected Statutes) by Jack Friedenthal – Arthur Miller – John Sexton – Helen Hershkoff. 20. Property Law: Rules Policies & Practices, Sixth Edition (Aspen Casebook) by Joseph William Singer – Bethany R. Berger – Nestor M. Davidson – Eduardo Penalver. 21. Criminal Justice: A Brief Introduction (11th Edition) by Frank J. Schmalleger. 22. Selected Federal Taxation Statutes and Regulations (Selected Statutes) by Daniel Lathrope. 23. Constitutional Law: Principles and Policies (Aspen Student Treatise) by Erwin Chemerinsky. 24. Quicken WillMaker Plus 2015 Edition: Book & Software Kit by Editors of Nolo. 25. A Practical Guide To Legal Writing and Legal Method, Fifth Edition (Aspen Coursebook) by John C. Dernbach. 26. Rules of Contract Law 2012-2013 Statutory Supplement by Charles L. Knapp. 27. A Practical Guide To Appellate Advocacy (Aspen Coursebook Series) by Mary Beth Beazley. 28. Civil Procedure, A Modern Approach (American Casebook Series) by Richard Marcus – Martin Redish – Edward Sherman – James Pfander. 29. Evidence, Cases and Materials (University Casebook Series) by Roger Park – Richard Friedman. 30. Civil Procedure: Doctrine, Practice, and Context, Fourth Edition (Aspen Casebooks) by Stephen N. Subrin – Martha L. Minow – Mark S. Brodin – Thomas O. Main – Alexandra Lahav. 31. Cases and Problems on Contracts, 6th Edition by John Calamari – Joseph Perillo – Helen Bender – Caroline Brown. 32. Concepts and Case Analysis in the Law of Contracts (Concepts and Insights) by Marvin Chirelstein. 33. Data and Goliath: The Hidden Battles to Collect Your Data and Control Your World by Bruce Schneier. 34. Civil Procedure: Rules, Statutes, and Other Materials Supplement by Joseph W. Glannon. 35. Examples & Explanations: Criminal Law, Sixth Edition by Richard G. Singer. 36. Constitutional Law: 2015 Case Supplement by Erwin Chemerinsky. 37. Dark Places of the Earth: The Voyage of the Slave Ship Antelope by Jonathan M. Bryant. 38. The Official LSAT PrepTest 75: (June 2015 LSAT) by Law School Admission Council. 39. Understanding and Mastering The Bluebook: A Guide for Students and Practitioners, Third Edition by Linda J. Barris. 40. Nursing Ethics: Across the Curriculum and Into Practice by Janie B. Butts – Karen L. Rich. 41. Secured Credit: A Systems Approach, Seventh Edition (Aspen Casebook) by Lynn M. LoPucki – Elizabeth Warren. 42. The Official LSAT PrepTest 74: (Dec. 2014 LSAT) by Law School Admission Council. 43. Fundamentals of Federal Income Taxation (University Casebook Series) by James Freeland – Daniel Lathrope – Stephen Lind – Richard Stephens. 44. Incognito: The Secret Lives of the Brain by David Eagleman. 45. Are Prisons Obsolete? by Angela Y. Davis. 46. Property A Contemporary Approach (Interactive Casebook Series) by John Sprankling – Raymond Coletta. 47. Income Tax Fundamentals 2015 (with H&R Block Premium & Business Software CD-ROM) by Gerald E. Whittenburg – Martha Altus-Buller – Steven Gill. 48. Dead Man Walking: The Eyewitness Account Of The Death Penalty That Sparked a National Debate by Helen Prejean. 49. Legal Writing in Plain English, Second Edition: A Text with Exercises (Chicago Guides to Writing, Editing, and Publishing) by Bryan A. Garner. 50. The American System of Criminal Justice by George F. Cole – Christopher E. Smith – Christina DeJong. 51. Reading Like a Lawyer: Time-Saving Strategies for Reading Law Like an Expert by Ruth Ann McKinney. 52. Selected Sections Federal Income Tax Code and Regulations (Selected Statutes) by Steven Bank – Kirk Stark. 53. American Constitutional Law: Powers and Liberties, Fourth Edition (Aspen Casebooks) by Calvin R. Massey. 54. Constitutional Law (University Casebook Series) by Jonathan Varat – Vikram Amar – William Cohen. 55. Criminal Law: A Contemporary Approach, 2d (Interactive Casebook Series) by Russell Weaver – John Burkoff – Catherine Hancock. 56. Criminal Procedure: Principles, Policies and Perspectives (American Casebook Series) by Joshua Dressler – George Thomas III. 57. Casenote Legal Briefs: Wills Trusts & Estates, Keyed to Dukeminier & Sitkoff, Ninth Edition by . 58. Criminal Procedure: Principles, Policies and Perspectives, 5th, 2015 Supplement (American Casebook Series) by Joshua Dressler – George Thomas III. 59. The Words We Live By: Your Annotated Guide to the Constitution (Stonesong Press Books) by Linda R. Monk. 60. Criminal Procedure: Investigation & Right To Counsel, 2nd Edition (Aspen Casebooks) by Ronald J. Allen – William J. Stuntz – Joseph L. Hoffmann – Debra Livingston – Andrew D. Leipold. 61. Prentice Hall’s Federal Taxation 2016 Comprehensive (29th Edition) by Thomas R. Pope – Timothy J. Rupert – Kenneth E. Anderson. 62. Corporations and Other Business Associations Selected Statutes, Rules, and Forms: 2015 Supplement by Charles R. T. O’Kelley – Robert B. Thompson. 63. The Regulatory State, Second Edition (Aspen Casebook) by Lisa Schultz Bressman – Edward L. Rubin – Kevin M. Stack. 64. Federal Income Taxation (Concepts and Insights) by Marvin Chirelstein – Lawrence Zelenak. 65. The Law of Journalism and Mass Communication by . 66. A Manual of Style for Contract Drafting by Kenneth A. Adams. 67. Juvenile Justice by Kären M. Hess – Christine H. Orthmann – John P. Wright. 68. Processes of Constitutional Decisionmaking (Aspen Casebook) by Paul Brest – Sanford Levinson – Jack M. Balkin – Akhil Reed Amar – Reva B. Siegel. 69. The Anti-Federalist Papers and the Constitutional Convention Debates (Signet Classics) by . 70. INTRODUCTION TO CRIMINAL JUSTICE by Robert Bohm – Keith Haley. 71. Defining Crimes (Aspen Casebook) by William J. Stuntz – Joseph L. Hoffmann. 72. Criminal Law and Procedure (University Casebook Series) by Donald Dripps – Ronald Boyce – ROLLIN PERKINS. 73. A Matter of Interpretation: Federal Courts and the Law (The University Center for Human Values Series) by Antonin Scalia. 74. Criminal Law and Procedure by John M. Scheb – II John M. Scheb. 75. Prentice Hall’s Federal Taxation 2016 Individuals (29th Edition) by Thomas R. Pope – Timothy J. Rupert – Kenneth E. Anderson. 76. Procedures in the Justice System (10th Edition) by Cliff Roberson – Harvey Wallace. 77. Criminal Law: Concepts and Practice, Third Edition (Carolina Academic Press: Law Advisory Broad) by Ellen S. Podgor – Peter J. Henning – Andrew Taslitz – Alfredo Garcia. 78. How to Start & Build a Law Practice (Career Series / American Bar Association) by Jay G. Foonberg. 79. Criminal Law (Hornbooks) by Wayne LaFave. 80. Police Operations: Theory and Practice by Kären M. Hess – Christine H. Orthmann – Henry Lim Cho. 81. Criminal Law (Quick Study Law) by Inc. BarCharts. 82. Constitutional Law, 18th: 2015 Supplement (University Casebook Series) by Kathleen Sullivan – Noah Feldman. 83. The Constitution of the United States (University Casebook Series) by Michael Paulsen – Steven Calabresi – Michael McConnell – Samuel Bray. 84. Basic Criminal Procedure: Cases, Comments and Questions (American Casebook Series) by Yale Kamisar – Wayne LaFave – Jerold Israel – Nancy King – Orin Kerr – Eve Primus. 85. Gilbert Law Summaries on Criminal Law by George Dix. 86. Criminal Procedure by Joel Samaha. 87. Understanding Criminal Procedure: Volume One, Investigation by Joshua Dressler – Alan C. Michaels. 88. Modern Criminal Procedure, Cases, Comments, & Questions (American Casebook Series) by Yale Kamisar – Wayne LaFave – Jerold Israel – Nancy King – Orin Kerr – Eve Primus. 89. Exploring Criminal Justice: The Essentials by Robert M. Regoli – John D. Hewitt – Marie-Helen Maras. 90. Constitutional Law Stories by Michael Dorf. 91. Criminal Law by Thomas J. Gardner – Terry M. Anderson. 92. Emanuel Law Outlines: Criminal Procedure, Thirtieth Edition by Steven L. Emanuel. 93. Criminal Procedure for the Criminal Justice Professional by John N. Ferdico – Henry F. Fradella – Christopher D. Totten. 94. Cengage Advantage Books: Business Law: Text and Cases – The First Course by Roger LeRoy Miller. 95. California POST Exam Study Guide: Test Prep for California Police Officer Exam (Post Entry-Level Law Enforcement Test Battery (PELLETB)) by Trivium Test Prep. 96. The Fundamentals of Federal Taxation: Problems and Materials, Third Edition by John A. Miller – Jeffrey A. Maine. 97. Cases and Materials on Criminal Law (American Casebook Series) by Joshua Dressler. 98. CJ: Realities and Challenges by Ruth E. Masters – Lori Beth Way – Phyllis B. Gerstenfeld – Bernadette T. Muscat – Michael Hooper – John P.J. Dussich – Lester Pincu – Candice A. Skrapec. 99. Constitutional Law for Criminal Justice by Jacqueline R. Kanovitz. 100. Emanuel Law Outlines: Constitutional Law by Steven L. Emanuel. This entry was posted in Law School Textbooks and tagged -, Business Law, Constitutional Law, Criminal Law, Legal Reference, Tax Law on August 25, 2015 by LawSchool. 1. Civil Procedure: Cases, Materials, and Questions (Loose-leaf version) by Richard D. Freer – Wendy Collins Perdue. 2. Federal Rules of Civil Procedure by Publisher’s Editorial Staff. 3. Civil Procedure, Eighth Edition (Aspen Casebook) (Aspen Casebooks) by Stephen C. Yeazell. 4. Civil Procedure: A Contemporary Approach, 4th (Interactive Casebook Series) by A. Spencer. 5. Funk’s Introduction to American Constitutional Structure (American Casebook Series) (English and English Edition) by William Funk. 6. Contracts: Cases, Discussion, and Problems, Third Edition (Aspen Casebooks) by Brian A. Blum – Amy C. Bushaw. 7. Examples & Explanations: Contracts, Sixth Edition by Brian A. Blum. 8. Contract and Related Obligation: Theory, Doctrine, and Practice (American Casebook Series) by Robert Summers – Robert Hillman. 9. Selected Commercial Statutes, 2014 (Selected Statutes) by Carol Chomsky – Christina Kunz – Elizabeth Schiltz – Charles Tabb. 10. Selected Commercial Statutes for Sales and Contracts Courses, 2014 (Selected Statutes) by Carol Chomsky – Christina Kunz – Elizabeth Schiltz – Charles Tabb. 11. The Bluebook: A Uniform System of Citation by . 12. ALWD Guide to Legal Citation, Fifth Edition (Aspen Coursebook) by Association of Legal Writing Directors – Coleen M. Barger. 13. A Lawyer Writes: A Practical Guide to Legal Analysis, Second Edition by Christine Coughlin – Joan Malmud Rocklin – Sandy Patrick. 14. Oregon Legal Research, Third Edition by Suzanne E. Rowe. 15. Beyond the First Draft: Editing Strategies for Powerful Legal Writing by Megan McAlpin. 16. Legal Research in a Nutshell by Kent Olson. 17. Legal Methods: Cases and Materials (University Casebook Series) by Jane Ginsburg. 18. Cases and Materials on Torts (American Casebook Series) by David W. Robertson – William Powers Jr. – David A. Anderson – Olin Guy Wellborn III. 19. Torts and Compensation, Personal Accountability and Social Responsibility for Injury (American Casebooks) (American Casebook Series) by Dan Dobbs – Paul Hayden – Ellen Bublick. 20. Administrative Procedure and Practice (American Casebook Series) by William Funk – Sidney Shapiro – Russell Weaver. 21. Sales: A Systems Approach, Fifth Edition (Aspen Casebook Series) by Daniel L. Keating. 22. Alternative Dispute Resolution: The Advocate’s Perspective (Loose-leaf version) by Edward J. Brunet – Charles B. Craver – Ellen E. Deason. 23. The Link Between Animal Abuse and Human Violence by . 24. Animal Cruelty: A Multidisciplinary Approach to Understanding by Mary P. Brewster – Cassandra L. Reyes. 25. Animal Law: Cases and Materials, Fifth Edition by Sonia S. Waisman – Pamela D. Frasch – Bruce A. Wagman. 26. The Law of Debtors and Creditors: Text, Cases, and Problems, Sixth Edition (Loose-leaf version) (Aspen Casebooks) by Elizabeth Warren – Jay Lawrence Westbrook. 27. Law of Debtors & Creditors Case Supplement 2013 by Elizabeth Warren. 28. Examples & Explanations: Bankruptcy & Debtor Creditor, Sixth Edition by 9781454833918. 29. The Law of Business Organizations: Cases, Materials, and Problems, 12th (American Casebook Series) by Robert Hamilton – Jonathan Macey – Douglas Moll. 30. The Law of Business Organizations (American Casebook Series) by Robert Hamilton – Jonathan Macey – Douglas Moll. 31. Constitutional Law, Fourth Edition (Aspen Casebook) by Erwin Chemerinsky. 32. Constitutional Law Case Supplement by Erwin Chemerinsky. 33. Introduction to American Constitutional Law: Structure and Rights (American Casebook Series) by William Funk. 34. Drafting Contracts: How & Why Lawyers Do What They Do , Second Edition (Aspen Coursebook) by Tina L. Stark. 35. Cases and Materials on Criminal Law, 6th Edition (American Casebook Series) by Joshua Dressler – Stephen P. Garvey. 36. Federal Criminal Law and Its Enforcement (American Casebook Series) by Norman Abrams – Sara Beale – Susan Klein. 37. Trials: Strategy, Skills, & New Powers of Persuasion 2e by Thomas A. Mauet. 38. Investigative Criminal Procedure: A Contemporary Approach, 2d (Interactive Casebook Series) by Sam Kamin – Ricardo Bascuas. 39. Comprehensive Criminal Procedure, 3rd Edition (Aspen Casebook) by Ronald Jay Allen – William J. Stuntz – Joseph L. Hoffman – Debra A. Livingston – Andrew D. Leipold. 40. Employment Discrimination: A Context and Practice Casebook, Second Edition by Susan Grover – Sandra F. Sperino – Jarod S. Gonzalez. 41. Employment Law: Private Ordering & Its Limitations 2e (Aspen Casebook) by Timothy P. Glynn – Rachel Arnow-Richman – Charles A. Sullivan. 42. Entertainment, Media, and the Law: Text, Cases, and Problems (American Casebook Series) by Paul Weiler – Gary Myers. 43. Environmental Justice: Law, Policy & Regulation by Clifford Rechtschaffen – Eileen Gauna – Catherine O’Neill. 44. Faces At The Bottom Of The Well: The Permanence Of Racism by Derrick Bell. 45. From the Ground Up: Environmental Racism and the Rise of the Environmental Justice Movement (Critical America) by Luke Cole – Sheila Foster. 46. Legal Protection of the Environment (American Casebook Series) by Craig Johnston – William Funk – Victor Flatt. 47. Selected Environmental Law Statutes: 2014-2015 Educational Edition (Selected Statutes) by Academic West. 48. Making Your Case: The Art of Persuading Judges by Antonin Scalia – Bryan A. Garner. 49. Federal Wealth Transfer Taxation (University Casebook Series) by Paul McDaniel – James Repetti – Paul Caron. 50. Study Problems to Accompany Federal Wealth Transfer Taxation (University Casebook Series) by Paul McDaniel – James Repetti – Paul Caron. 51. Selected Federal Taxation Statutes and Regulations 2015 by Daniel J. Lathrope. 52. Evidence: Cases Commentary & Problems, Third Edition (Aspen Casebook Series) by David A. Sklansky. 53. Federal Rules of Evidence Handbook, 2014-15 Edition by Publisher’s Staff. 54. Evidence, Fifth Edition (Aspen Student Treatise Series) by Christopher B. Mueller – Laird C. Kirkpatrick. 55. Family Law: Cases, Comments and Questions, 7th (American Casebook Series) by Harry Krause – Linda Elrod – J. Oldham. 56. The Federal Courts and the Federal System, 6th Edition by Richard H. Fallon Jr. – John F. Manning – Daniel J. Meltzer – David L. Shapiro. 57. The Federal Courts and the Federal System (University Casebook Series) by Richard Fallon Jr – John Manning – Daniel Meltzer – David Shapiro. 58. Cases and Materials on Federal Indian Law (American Casebook Series) by David Getches – Charles Wilkinson – Robert Williams – Matthew Fletcher. 59. Immigration and Citizenship (American Casebook Series) by Thomas Aleinikoff – David Martin – Hiroshi Motomura – Maryellen Fullerton. 60. Federal Income Taxation, Sixteenth Edition (Aspen Casebook) by Joseph Bankman – Daniel N. Shaviro – Kirk J. Stark. 61. Federal Income Taxation (Concepts and Insights) by Marvin Chirelstein – Lawrence Zelenak. 62. Federal Income Taxation, Principles and Policies (University Casebook Series) by Michael Graetz – Deborah Schenk. 63. Principles of Insurance Law (2011 Loose-leaf Version) by Jeffrey W. Stempel – Peter N. Swisher – Erik S. Knutsen. 64. The Color of Magic: A Discworld Novel by Terry Pratchett. 65. Intellectual Property in the New Technological Age, Sixth Edition (Aspen Casebook Series) by Robert P. Merges – Peter S. Menell – Mark A. Lemley. 66. Intellectual Property New Technological Age 2013 Case and Statutory Supplement by Robert P. Merges. 67. International Business Transactions, Second Edition by Daniel C. K. Chow – Thomas J. Schoenbaum. 68. Principles of International Investment Law by Rudolf Dolzer – Christoph Schreuer. 69. Taxation of International Transactions: Materials, Texts And Problems, 4th (American Casebook Series) by Charles Gustafson – Robert Peroni – Richard Pugh. 70. Selected Sections on United States International Taxation, 2014 (Selected Statutes) by Daniel Lathrope. 71. Planning and Control of Land Development: Cases and Materials (Loose-leaf version) by Daniel R. Mandelker – Carol Necole Brown – Stuart Meck – Dwight H. Merriam – Jr. Peter W. Salsich – Nancy E. Stroud – Julie A. Tappendorf. 72. Economic Analysis of Law, Ninth Edition (Aspen Casebook) by Richard A. Posner. 73. Advanced Legal Writing: Theories and Strategies in Persuasive Writing, Third Edition (Aspen Coursebook) by Michael R. Smith. 74. Law, Medicine and Medical Technology (University Casebook Series) by Lars Noah. 75. Essentials of Negotiation by Roy Lewicki – Bruce Barry – David Saunders. 76. The Winning Brief: 100 Tips for Persuasive Briefing in Trial and Appellate Courts by Bryan Garner. 77. International Human Rights in a Nutshell by Thomas Buergenthal – Dinah Shelton – David Stewart. 78. Trial Techniques, Ninth Edition (Aspen Coursebooks) by Thomas A. Mauet. 79. MacCarthy on Cross Examination by Terence MacCarthy. 80. Native American Natural Resources Law: Cases and Materials, Third Edition by Judith V. Royster – Michael C. Blumm – Elizabeth Ann Kronk. 81. Difficult Conversations: How to Discuss What Matters Most by Douglas Stone – Bruce Patton – Sheila Heen. 82. Beyond Winning: Negotiating to Create Value in Deals and Disputes by Robert H. Mnookin – Scott R. Peppet – Andrew S. Tulumello. 83. Bargaining for Advantage: Negotiation Strategies for Reasonable People 2nd Edition by G. Richard Shell. 84. Getting to Yes: Negotiating Agreement Without Giving In by Roger Fisher – William L. Ury – Bruce Patton. 85. Beyond Reason: Using Emotions as You Negotiate by Roger Fisher – Daniel Shapiro. 86. Nonprofit Organizations, Cases and Materials (University Casebook Series) by James Fishman – Stephen Schwarz. 87. Oregon Rules of Court, Volume 1 – State, 2014 Edition by Thomson Reuters. 88. Plain English for Lawyers by Richard C. Wydick. 89. Patent Litigation and Strategy (American Casebook Series) by Kimberly Moore – Timothy Holbrook – John Murphy. 90. Real Estate Transactions: Problems, Cases, and Materials, Fourth Edition (Aspen Casebooks) by Robin Paul Malloy – James Charles Smith. 91. International Law (American Casebook Series) by Mark Janis – John Noyes. 92. The Public Trust Doctrine in Environmental and Natural Resources Law (Carolina Academic Press: Law Advisory Board) by Michael C. Blumm – Mary Christina Wood. 93. Ethical Problems in the Practice of Law: Concise Edition for Two Credit Course, 3rd Edition by Lisa G. Lerman – Philip G. Schrag. 94. Model Rules of Professional Conduct by Center for Professional Responsibility. 95. The Law Governing Lawyers, National Rules, Standards, Statutes, and State Lawyer Codes, 2014-2015 Edition by Susan R. Martyn. 96. What Roe v. Wade Should Have Said: The Nation’s Top Legal Experts Rewrite America’s Most Controversial Decision by . 97. Introduction to Transactional Lawyering Practice (American Casebook Series) by Alicia Alvarez – Paul Tremblay. 98. Street Law: A Course in Practical Law by Lee P. Arbetman – Edward L. O’Brien. 99. Glencoe Street Law Eighth Edition Teachers Manual (A Course In Practical Law) by ARBETMAN. 100. Legal Control of Water Resources (American Casebook Series) by Barton Thompson Jr – John Leshy – Robert Abrams. 101. Fundamentals of Trusts and Estates (Loose-leaf version) by Roger W. Andersen – Ira Mark Bloom. 102. Constitutional Law (University Casebook Series) by Kathleen Sullivan – Noah Feldman. 103. American Criminal Procedure: Cases and Commentary, 10th (American Casebook Series) by Stephen Saltzburg – Daniel Capra. 104. American Criminal Procedure (American Casebook Series) by Stephen Saltzburg – Daniel Capra. 105. Your Client’s Story: Persuasive Legal Writing (Aspen Coursebook) by Ruth Anne Robbins – Steve Johansen – Ken Chestek. 106. Property Law: Rules, Policies and Practices, 5th Edition by Joseph William Singer. 107. Property Law: Practice, Problems, and Perspectives (Aspen Casebook) by Jerry L. Anderson – Daniel B. Bogart. 108. Property: A Contemporary Approach, 2d (Interactive Casebook Series) by John Sprankling – Raymond Coletta. This entry was posted in Law School Textbooks on July 19, 2015 by LawSchool. 1. Introduction to Civil Litigation (West’s Paralegal Series) by Mark Weinstein. 2. Introduction to Paralegalism: Perspectives, Problems and Skills by William P. Statsky. 3. NALA Manual for Paralegals and Legal Assistants: A General Skills & Litigation Guide for Today’s Professionals by National Association of Legal Assistants. 4. Criminal Law and Procedure for the Paralegal by Neal R. Bevans. 5. Foundations of Business Organizations for Paralegals by Margaret E. Bartschi. 6. Certified Paralegal Review Manual: A Practical Guide to CP Exam Preparation by Virginia Koerselman Newman. 7. Paralegal Today: The Legal Team at Work by Roger LeRoy Miller – Mary Meinzinger. 8. Basic Contract Law for Paralegals, Seventh Edition (Aspen College) by Jeffrey A. Helewitz. 9. Family Law for Paralegals, Sixth Edition (Aspen College) by J. Shoshanna Ehrlich. 10. The Litigation Paralegal: A Systems Approach, 5E (West Legal Studies (Hardcover)) by James W. H. McCord. 11. Introduction to Law for Paralegals: Critical Thinking Approach, 5th Edition (Aspen College) by Katherine A. Currier – Thomas E. Eimermann. 12. Business Organizations for Paralegals, Sixth Edition by Deborah E. Bouchoux. 13. Fundamentals of California Litigation for Paralegals, Fifth Edition (Aspen College) by Marlene A. Maerowitz – Thomas A. Mauet. 14. Family Law for the Paralegal: Concepts and Applications (2nd Edition) by Mary E. Wilson. 15. Paralegal Today: The Essentials by Roger LeRoy Miller – Mary Meinzinger. 16. Legal Thesaurus/Legal Dictionary: A Resource for the Writer and Computer Researcher (Paralegal Reference Materials) by William P. Statsky. 17. California Family Law for Paralegals, Sixth Edition (Aspen College) by Marshall W. Waller. 18. Paralegal Procedures and Practices by Scott Hatch – Lisa Zimmer Hatch. 19. Basic Administrative Law for Paralegals 4e by Anne Adams. 20. Introduction to Paralegal Studies: A Critical Thinking Approach, Fifth Edition (Aspen College) by Katherine A. Currier – Thomas E. Eimermann. 21. California Property Law for Paralegals (Aspen College Series) by D. Patrick O’Laughlin. 22. The California Paralegal (Paralegal Reference Materials) by William P. Statsky – Sharon Sandberg. 23. Concise Guide To Paralegal Ethics, Fourth Edition (with Aspen Video Series: Lessons in Ethics) (Aspen College Series) by Therese A. Cannon. 24. The California Family Law Paralegal by Dianna L. Noyes. 25. A Practical Introduction to Paralegal Studies: Strategies for Success by Deborah E. Bouchoux. 26. McGraw-Hill’s Real Estate Law for Paralegals by McGraw-Hill Education – Curriculum Technology. 27. Family Law for Paralegals (The McGraw-Hill Paralegal List) by George Kent. 28. Introduction to Law & Paralegal Studies by Connie Scuderi. 29. Survey of Accounting by Carl S. Warren. 30. Legal Research, Analysis, and Writing (5th Edition) by Joanne B. Hames – Yvonne Ekern. 31. Scholarly Writing for Law Students, Seminar Papers, Law Review Notes and Law Review Competition Papers (American Casebook Series) by Elizabeth Fajans – Mary Falk. 32. Introduction to Advocacy: Research, Writing and Argument (University Casebook Series) by The Board of Student Advisors Harvard School. 33. Constitutional Law, Fourth Edition (Aspen Casebook) by Erwin Chemerinsky. 34. Professional Responsibility (University Casebook Series) by Thomas Morgan – Ronald Rotunda – John Dzienkowski. 35. Contracts (Hornbook) by Joseph Perillo. 36. Cases and Materials on Torts, Tenth Edition (Aspen Casebooks) by Richard A. Epstein – Catherine M. Sharkey. 37. Law of Property (Hornbook) by William Stoebuck – Dale Whitman. 38. Real Property Transactions: Practical Applications of the Law by Lucy Allen Marsh. 39. Civil Procedure (Hornbook) by Jack Friedenthal – Mary Kane – Arthur Miller. 40. Wills, Trusts and Estates, Including Taxation and Future Interests, 4th by William M. McGovern Jr. – Sheldon F. Kurtz – David M. English. 41. Trust Drafting for Paralegals by Stephen Haas. 42. The Law of Debtors and Creditors: Text, Cases, and Problems (Aspen Casebook) by Elizabeth Warren – Jay Lawrence Westbrook – Katherine Porter – John Pottow. 43. Corporate and White Collar Crime, Cases and Materials, Fifth Edition (Aspen Casebook Series) by Kathleen F. Brickey. 44. Administrative Law (Hornbook) by Alfred Aman Jr – William Mayton. 45. Business Organizations Law (Hornbook) by James Cox – Thomas Hazen. 46. Examples & Explanations: Agency Partnerships & LLC, 4th Edition by Daniel S. Kleinberger. 47. Employment Law (6th Edition) by John J. Moran. 48. Information Privacy Law, Fourth Edition (Aspen Casebook) by Daniel J. Solove – Paul Schwartz. 49. Principles of Bank Regulation (Concise Hornbook Series) by Michael Malloy. 50. Securities Regulation: Cases and Analysis (University Casebook Series) by Stephen Choi – Adam Pritchard. 51. The Tools & Techniques of Employee Benefit and Retirement Planning, 13th Edition (Leimberg Library) (Tools and Techniques of Employee Benefit and Retirement Planning) by Stephan R. Leimberg – John J. McFadden. 52. Individual Income Taxes [With CD (Audio) and Disk] (South-Western Federal Taxation) by William H. Hoffman. 53. Selected Federal Taxation Statutes and Regulations 2015 by Daniel J. Lathrope. 54. South-Western Federal Taxation 2015: Corporations, Partnerships, Estates and Trusts by . 55. State and Local Taxation: Principles and Planning by John E. Karayan – Sanjay, M.D . Gupta – Charles W. Swenson. 56. Fundamentals of Partnership Taxation (University Casebook Series) by Stephen Schwarz – Daniel Lathrope. 57. Federal Tax Research by Roby Sawyers – William A. Raabe – Gerald E. Whittenburg – Steven L Gill. 58. Federal Taxation Practice and Procedure (11th Edition) by Jr. – JD – MBA – LLM Robert J. Misey. 59. Federal Estate and Gift Taxation (American Casebook Series) by Boris Bittker – Elias Clark – Grayson McCouch. 60. Accounting Principles by Jerry J. Weygandt – Paul D. Kimmel – Donald E. Kieso. 61. Managing Human Resources (7th Edition) by Luis R. Gomez-Mejia – David Balkin – Robert Cardy. 62. International Business by Charles W. L. Hill. 63. Business Ethics: Ethical Decision Making & Cases by O. C. Ferrell – John Fraedrich – Ferrell. 64. Management by Richard L. Daft. 65. Strategic Staffing (3rd Edition) by Jean M. Phillips – Stan M. Gully. 66. Effective Training (5th Edition) by P. Nick Blanchard – James Thacker. 67. The Labor Relations Process by William H. Holley – Kenneth M. Jennings – Roger S. Wolters. 68. Strategic Compensation: A Human Resource Management Approach Plus NEW MyManagementLab with Pearson eText — Access Card Package (8th Edition) by Joseph J. Martocchio. 69. Essentials of Entrepreneurship and Small Business Management (8th Edition) by Norman M. Scarborough – Jeffrey R. Cornwall. 70. Principles of Operations Management (9th Edition) by Jay Heizer – Barry Render. 71. Essentials of International Human Resource Management: Managing People Globally by David C. Thomas – Mila B. Lazarova. 72. Economics (11th Edition) (Pearson Series in Economics) by Michael Parkin. 73. Writing: A Guide for College and Beyond (3rd Edition) by Lester Faigley. 74. Business Communication: In Person, In Print, Online by Amy Newman. 75. American Literature, Volume II (2nd Edition) by William E. Cain – Alice McDermott – Lance E Newman – Hilary E. Wyss. 76. Portable Literature: Reading, Reacting, Writing (The Kirszner/Mandell Literature Series) by Laurie G. Kirszner – Stephen R. Mandell. 77. Fundamentals of Financial Management, Concise Edition (with Thomson ONE – Business School Edition, 1 term (6 months) Printed Access Card) (Finance Titles in the Brigham Family) by Eugene F. Brigham – Joel F. Houston. 78. Corporate Finance Plus NEW MyFinanceLab with Pearson eText — Access Card Package (3rd Edition) by Jonathan Berk – Peter DeMarzo. 79. Government in America: People, Politics, and Policy, 2012 Election Edition (16th Edition) by George C. Edwards III – Martin P. Wattenberg – Robert L. Lineberry. 80. The American Nation: A History of the United States, Combined Volume (14th Edition) by Mark C. Carnes – John A. Garraty. 81. Fundamentals of Management by Ricky Griffin. 82. Marketing: An Introduction (12th Edition) by Gary Armstrong – Philip Kotler. 83. College Algebra plus NEW MyMathLab with Pearson eText — Access Card Package (6th Edition) (Blitzer Precalculus Series) by Robert F. Blitzer. 84. Elementary Statistics Plus NEW MyStatLab with Pearson eText — Access Card Package (6th Edition) by Ron Larson – Betsy Farber. 85. College Geometry: A Problem Solving Approach with Applications (2nd Edition) by Gary L. Musser – Lynn Trimpe – Vikki R. Maurer. 86. For All Practical Purposes: Mathematical Literacy in Today’s World by COMAP. 87. Media of Mass Communication (11th Edition) by John Vivian. 88. Essentials of MIS (11th Edition) by Kenneth C. Laudon – Jane Laudon. 89. Examples & Explanations: Federal Income Taxation by Joseph Bankman. 90. Employment Law: A Guide to Hiring, Managing, and Firing for Employers and Employees, Second Edition by Lori B. Rassas. 91. Environmental Law by Kathryn L Schroeder. 92. Immigration Law for Paralegals by Maria Isabel Casablanca – Gloria Roa Bodin. 93. Learning Evidence: From the Federal Rules to the Courtroom (Learning Series) by Deborah Merritt – Ric Simmons. 94. Administrative Law by John D. DeLeo. 95. The Law of Public Communication by Kent R. Middleton – William E. Lee. 96. Trusted Criminals: White Collar Crime In Contemporary Society by David O. Friedrichs. 97. Interviewing & Investigating: Essential Skills for the Legal Professional, Fifth Edition (Aspen College) by Stephen P. Parsons. 98. Basic Legal Research for Paralegals (McGraw-Hill Paralegal Titles) by Edward Nolfi. 99. McGraw-Hill’s Criminal Law for Paralegals by McGraw-Hill Education – Curriculum Technology. 100. Tort Law for Paralegals (2nd Edition) by George E. Guay III – Robert Cummins. 101. Wills Trusts & Estates for Legal Assistants, Fourth Edition (Aspen College) by Gerry W. Beyer – John K. Hanft. 102. Business Organizations for Paralegals by Kathleen Reed – Henry R. Cheeseman – John J. Schlageter III. 103. How To Brief A Case (Quickstudy: Law) by Inc. BarCharts. 104. The Essentials of Real Estate Law by Lynn T. Slossberg. 105. E-Discovery: An Introduction to Digital Evidence (with DVD) by Amelia Phillips – Ronald Godfrey – Christopher Steuart – Christine Brown. 106. O’Connor’s Texas Rules * Civil Trials 2014 by Michol O’Connor. 107. CP Study Guide and Mock Examination by Inc. National Association of Legal Assistants. 108. Communication: Principles for a Lifetime Plus NEW MyCommunicationLab with eText — Access Card Package (5th Edition) by Steven A. Beebe – Susan J. Beebe – Diana K. Ivy. 109. Structure & Function of the Body – Softcover, 13e by Gary A. Thibodeau PhD – Kevin T. Patton PhD. 110. Legal Research & Writing for Paralegals, 6th Edition (Aspen College Series) by Deborah E. Bouchoux. 111. Introduction to Contracts (4th Edition) by Diane M. Baldwin Esq. – Frances B. Whiteside. 113. The Bluebook: A Uniform System of Citation by . 114. 2013 Federal Civil Rules Booklet (For Use With All Civil Procedure Casebooks) by LegalPub.com. 115. Legal Document Preparation Manual by Scott A. Hatch. This entry was posted in Law School Textbooks on June 19, 2015 by LawSchool. 1. Law for Society: Nature, Functions, and Limits by Kevin M. Clermont – Hillman – Johnson – Summers. 2. Black Letter Outline on Civil Procedure, 9th (Black Letter Outlines) by Kevin Clermont. 3. Federal Rules of Civil Procedure (Selected Statutes) by Kevin Clermont. 4. Civil Procedure, Materials for a Basic Course, Concise 11th (University Casebook Series) (English and English Edition) by Richard Field – Benjamin Kaplan – Kevin Clermont – Catherine Struve. 5. Hillman’s Principles of Contract Law, 3d (Concise Hornbook Series) by Robert A Hillman. 6. Farnsworth, Sanger, Cohen, Brooks and Garvin Selections for Contracts, 2013 (Selected Statutes) by E. Farnsworth – Carol Sanger – Neil B Cohen – Richard Brooks. 7. Cases and Materials on Criminal Law, 6th Edition (American Casebook Series) (English and English Edition) by Joshua Dressler – Stephen P. Garvey. 8. Understanding Criminal Law, 6th Edition by Joshua Dressler. 9. Cribbet, Findley, Smith and Dzienkowski’s Property Cases and Materials (University Casebook Series) by John Cribbet – Roger Findley – Ernest Smith. 10. Financial Accounting, 8th Edition by Robert Libby – Patricia Libby – Daniel Short. 11. The Smartest Guys in the Room: The Amazing Rise and Scandalous Fall of Enron by Bethany McLean – Peter Elkind. 12. Business Basics for Law Students: Essential Concepts and Applications (Essentials) by Robert W. Hamilton – Richard Booth. 13. Administrative Law and Regulatory Policy: Problems Text, and Cases, Seventh Edition (Aspen Casebook) by Stephen G. Breyer – Richard B. Stewart – Cass R. Sunstein – Adrian Vermeule – Michael Herz. 14. Administrative Law & Regulatory Policy: 2013-2014 Case Supplement by Stephen G. Breyer – Richard B. Stewart – Cass R. Sunstein – Adrian Vermeule – Michael Herz. 15. Emerging Systems for Managing Workplace Conflict: Lessons from American Corporations for Managers and Dispute Resolution Professionals by David B. Lipsky – Ronald L. Seeber – Richard Fincher. 16. Arbitration Law (University Casebook Series) by Katherine Stone – Richard Bales. 17. The Law of Debtors and Creditors: Text, Cases, and Problems (Aspen Casebook) by Elizabeth Warren – Jay Lawrence Westbrook – Katherine Porter – John Pottow. 18. Bankruptcy & Article 9 Statutory Supplement by Elizabeth Warren. 19. Corporations: A Contemporary Approach, 2d (Interactive Casebook Series) (English and English Edition) by Alan Palmiter – Frank Partnoy. 20. Lawyers as Counselors: A Client-Centered Approach, 3rd Edition by David A Binder – Paul Bergman – Paul R Tremblay – Ian S. Weinstein. 21. Conflict of Laws: Cases, Comments, Questions, 9th Edition (American Casebook) (English and English Edition) by Herma H. Kay – Larry Kramer – Kermit Roosevelt. 22. Principles of Corporate Finance (The Mcgraw-Hill/Irwin Series in Finance, Insurance, and Real Estate) by Richard Brealey – Stewart Myers – Franklin Allen. 23. Corporate Finance: Principles and Practice, 2d (University Casebooks) (University Casebook Series) by William Carney. 24. Dressler and Thomas’ Criminal Procedure: Investigating Crime, 5th (American Casebook Series) by Joshua Dressler – George Thomas III. 25. Criminal Procedure, Principles, Policies and Perspectives, 5th, 2014 Supplement (American Casebook Series) (English and English Edition) by Joshua Dressler – George Thomas III. 26. Educational Policy and the Law by Mark G. Yudof – Betsy Levin – Rachel Moran – James E. Ryan – Kristi L. Bowman. 27. Salzman and Thompson’s Environmental Law and Policy, 4th (Concepts and Insights Series) by James Salzman – Barton Thompson Jr..
28. Selected Environmental Law Statutes,: 2014-2015 Educational Edition (Selected Statutes) by Publsihing Editorial Staff. 29. Evidence: Cases Commentary & Problems, Third Edition (Aspen Casebooks) by David A. Sklansky. 30. Federal Rules of Evidence and California Evidence Code Case Supplement by David A. Sklansky. 32. Modern Family Law, Fifth Edition (Aspen Casebooks) by D. Kelly Weisberg – Susan Frelich Appleton. 33. The Federal Courts and the Federal System, 6th Edition (English and English Edition) by Richard H. Fallon Jr. – John F. Manning – Daniel J. Meltzer – David L. Shapiro. 34. The Federal Courts and the Federal System, 6th, 2014 Supplement (University Casebook Series) (English and English Edition) by Richard Fallon Jr. – John F Manning – Daniel J Meltzer – David L Shapiro. 35. Graetz and Schenk’s Federal Income Taxation, Principles and Policies, 7th (University Casebook Series) (English and English Edition) by Michael Graetz – Deborah Schenk. 36. Lathrope’s Selected Federal Taxation Statutes and Regulations, with Motro Tax Map, 2015 (Selected Statutes) by Daniel J Lathrope. 37. Insurance Law & Policy: Cases Materials & Problems, Third Edition (Aspen Casebook) by Tom Baker – Kyle D. Logue. 38. Varady and Barcelo’s International Commercial Arbitration, A Transnational Perspective, 5th (American Casebook Series) (English and English Edition) by Tibor Varady – John J Barcelo III. 39. Varady and Barcelo’s Documents Supplement to International Commercial Arbitration, A Transnational Perspective, 5th (American Casebook Series) by Tibor Varady – John J Barcelo III. 40. Gustafson, Peroni and Pugh’s Taxation of International Transactions: Materials, Texts And Problems, 4th (American Casebook Series) (English and English Edition) by Charles Gustafson – Robert Peroni – Richard Pugh. 41. INTERNATIONAL INCOME TAXATION: Code and RegulationsSelected Sections (20142015 Edition) by Coordinating Editor Robert J. Peroni – Contributng Editor Richard C. Pugh – Contributing Editor Charles H. Gustafson. 42. International Investment Law: Reconciling Policy and Principle (Second Edition) by Surya P Subedi. 43. Cases and Materials on Legislation and Regulation: Statutes and the Creation of Public Policy, 5th (American Casebook Series) by William Eskridge Jr. – Philip Frickey – Elizabeth Garrett – James Brudney. 44. National Security Law, Fifth Edition (Aspen Casebooks) by Stephen Dycus – Arthur L. Berney – William C. Banks – Peter Raven-Hansen. 45. Getting to Yes: Negotiating Agreement Without Giving In by Roger Fisher – William L. Ury – Bruce Patton. 46. Products Liability: Problems & Process (Aspen Casebook) by James A. Henderson Jr. – Aaron D. Twerski. 47. The Law Governing Lawyers, National Rules, Standards, Statutes, and State Lawyer Codes, 2014-2015 Edition by Susan R. Martyn. 48. Law and Ethics of Lawyering, 5th Edition (English and English Edition) by Geoffrey C. Hazard Jr – Susan P. Koniak – Roger C. Cramton – George M. Cohen – W. Bradley Wendel. 49. Coffee and Sale’s Securities Regulation, 12th (University Casebook Series) (English and English Edition) by John C Coffee Jr – Hillary A Sale. 50. Federal Securities Laws: Selected Statutes, Rules and Forms by John Coffee Jr – Hillary Sale. 51. Social Science in Law (University Casebook Series) by John Monahan – Laurens Walker. 52. Weiler, Roberts, Abrams and Ross’ Sports and the Law: Text, Cases and Problems, 4th (American Casebook Series) (English and English Edition) by Paul Weiler – Gary Roberts – Roger Abrams – Stephen F Ross. 53. Weiler, Roberts, Abrams and Ross’ Sports and the Law: Text, Cases and Problems, 4th, Documentary and Statutory Supplement (American Casebook Series) by Paul Weiler – Gary R Roberts – Roger I Abrams – Stephen F Ross. 54. Jackson, Davey and Sykes’ Cases, Materials and Texts on Legal Problems of International Economic Relations, 6th (American Casebook Series) (English and English Edition) by John Jackson – William Davey – Alan Sykes Jr..
55. Jackson, Davey, and Sykes’ Legal Problems of International Economic Relations 6th, Documentary Supplement (American Casebook Series) by John Jackson – William J Davey – Alan Sykes Jr..
56. Their Eyes Were Watching God LP by Zora Neale Hurston. 57. SINGING IN A STRANGE LAND: C. L. Franklin, the Black Church, and the Transformation of America by Nick Salvatore. 58. Coming of Age in Mississippi by Anne Moody. 59. Arc of Justice: A Saga of Race, Civil Rights, and Murder in the Jazz Age by Kevin Boyle. 60. Radical Equations: Civil Rights from Mississippi to the Algebra Project by Robert P. Moses – Charles E. Cobb. 61. Remembering Jim Crow: African Americans Tell About Life in the Segregated South by . 62. The Animal Ethics Reader by . 63. Introduction to Animal Rights: Your Child or the Dog? by Gary L. Francione. 64. Why We Love Dogs, Eat Pigs, and Wear Cows: An Introduction to Carnism by Melanie Joy PhD. 65. Mind If I Order the Cheeseburger? : And Other Questions People Ask Vegans by Sherry F. Colb. 66. The China Study: The Most Comprehensive Study of Nutrition Ever Conducted And the Startling Implications for Diet, Weight Loss, And Long-term Health by Campbell – Thomas; Campbell – T. Colin. 67. The New Oxford Annotated Bible with Apocrypha: New Revised Standard Version by . 68. New York Commercial Law Goldbook – 2014 Edition by Lexis Nexis. 69. Mastering Secured Transactions (UCC Article 9), Second Edition (Carolina Aademic Press Mastering) by Richard H. Nowka. 70. The New Road to Serfdom: A Letter of Warning to America by Daniel Hannan. 71. Coming Apart: The State of White America, 1960-2010 by Charles Murray. 72. Boomerang: Travels in the New Third World by Michael Lewis. 73. Currency Wars: The Making of the Next Global Crisis by James Rickards. 74. International Criminal Law and Its Enforcement, Cases and Materials, 2d (University Casebook Series) by Beth Van Schaack. 75. Principles of International Environmental Law by Professor Philippe Sands – Professor Jacqueline Peel. 76. The Koran (Penguin Classics) by . 77. The Justice of Islam: Comparative Perspectives on Islamic Law and Society (Oxford Socio-Legal Studies) by Lawrence Rosen. 78. Islam: A Very Short Introduction by Malise Ruthven. 79. An Introduction to Islamic Law by Wael B. Hallaq. 80. Targeted Killings: Law and Morality in an Asymmetrical World by Claire Finkelstein – Jens David Ohlin – Andrew Altman. 81. Punishing Race: A Continuing American Dilemma (Studies in Crime and Public Policy) by Michael Tonry. 82. Law and Order: Street Crime, Civil Unrest, and the Crisis of Liberalism in the 1960s (Columbia Studies in Contemporary American History) by Michael W. Flamm. 83. Race, Crime, and the Law by Randall Kennedy. 84. The Condemnation of Blackness: Race, Crime, and the Making of Modern Urban America by Khalil Gibran Muhammad. 85. Worse than Slavery: Parchman Farm and the Ordeal of Jim Crow Justice by David M. Oshinsky. 86. The New Jim Crow: Mass Incarceration in the Age of Colorblindness by Michelle Alexander. 87. AILA’s Asylum Primer: A Practical Guide to U. S. Asylum Law and Procedure, 6th Edition by Regina Germain. This entry was posted in Law School Textbooks on January 13, 2015 by LawSchool.